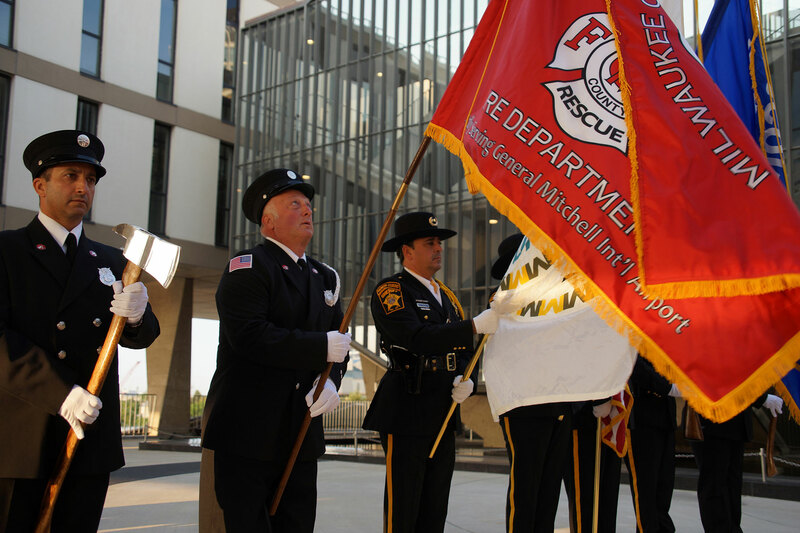 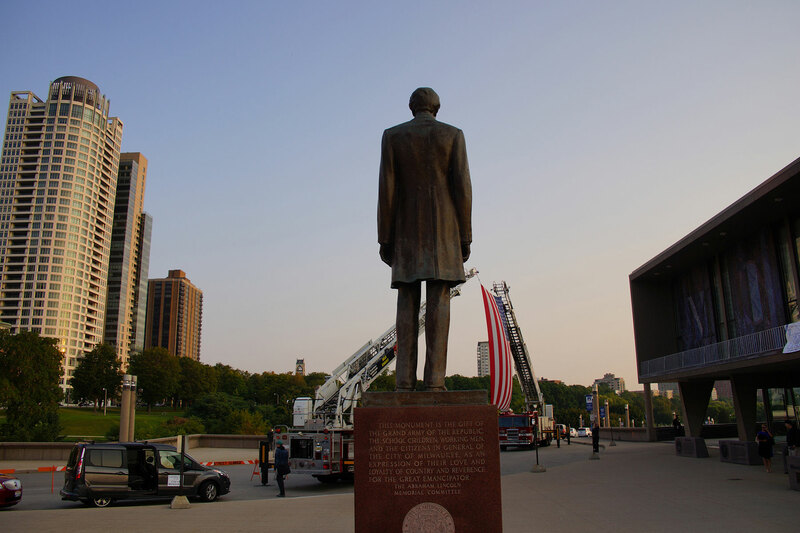 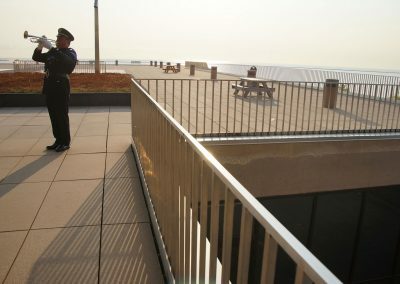 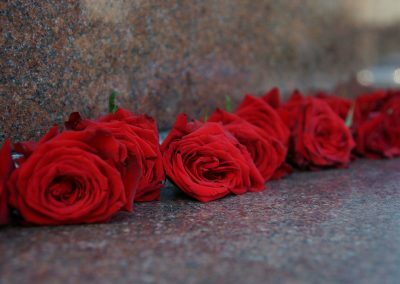 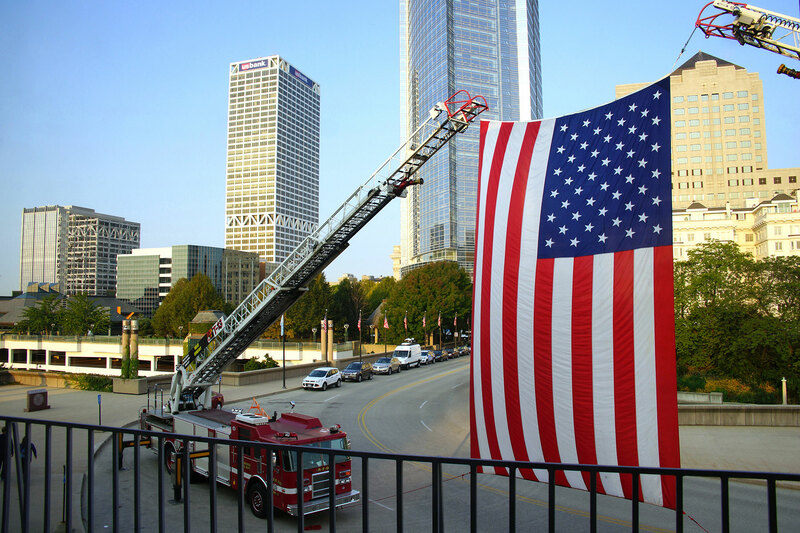 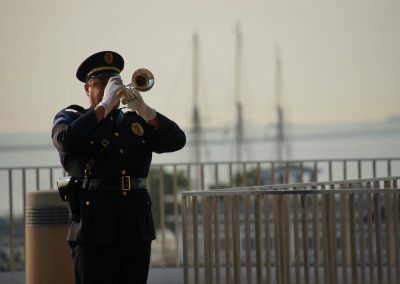 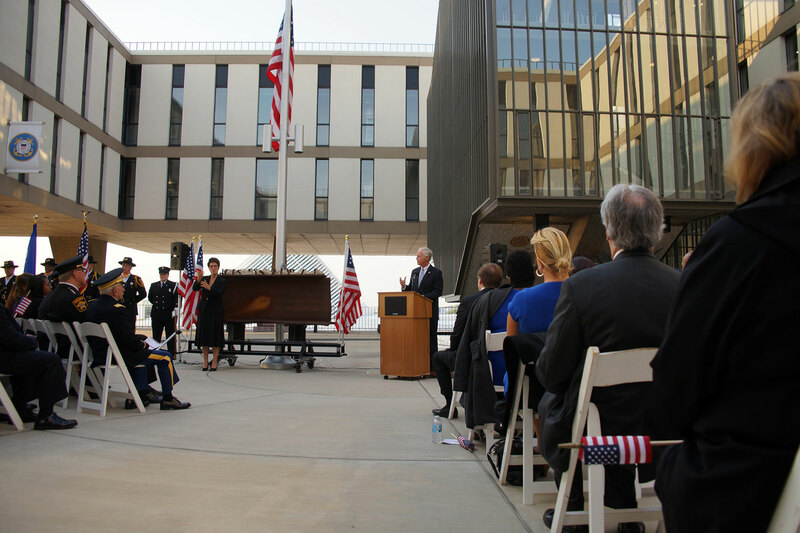 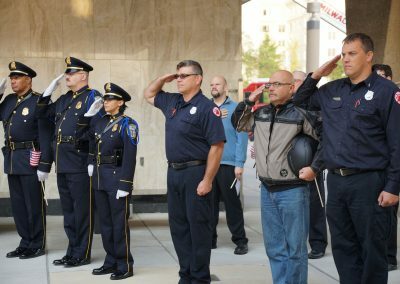 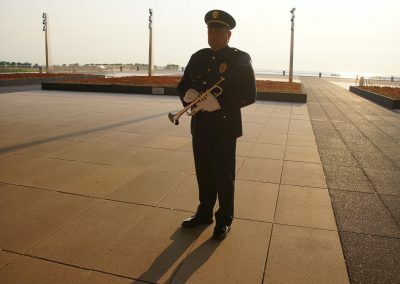 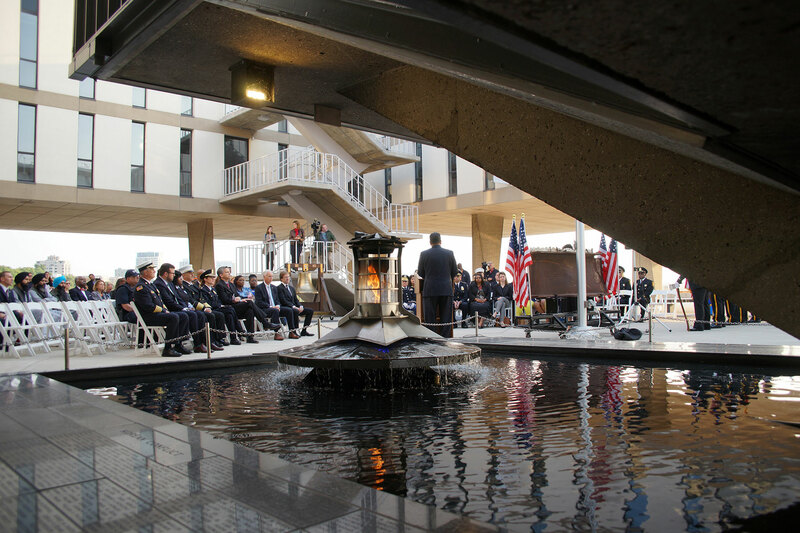 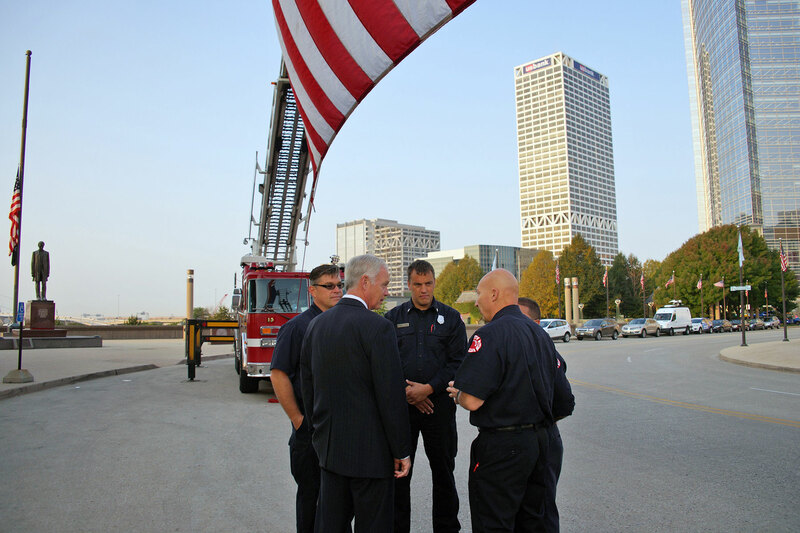 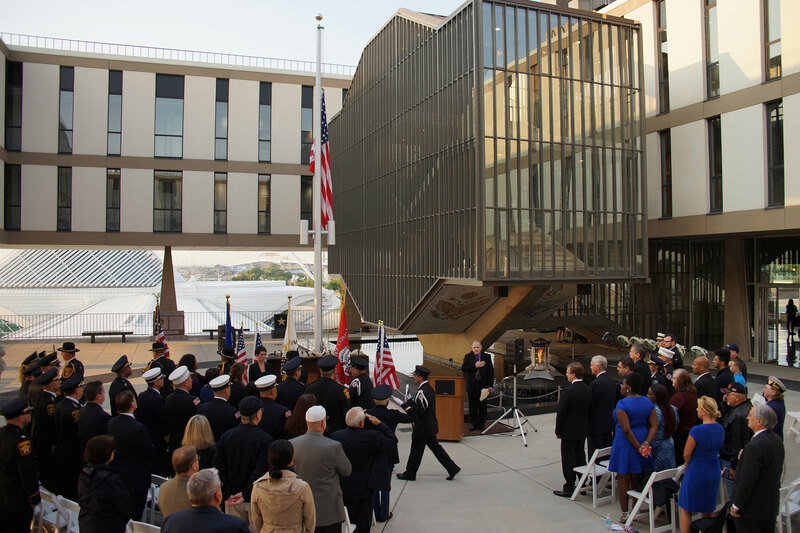 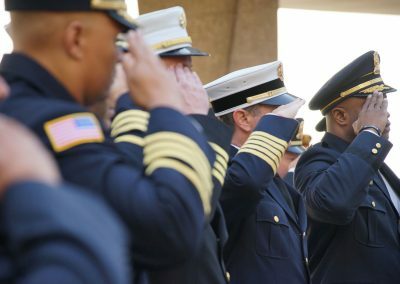 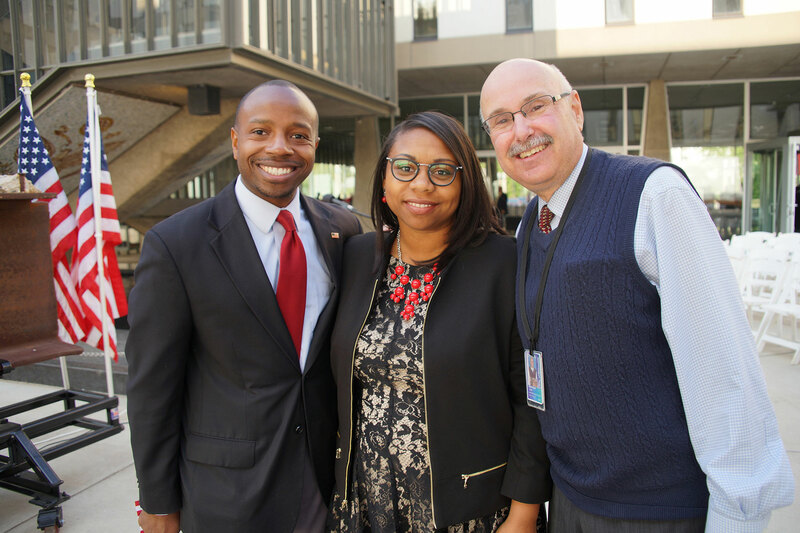 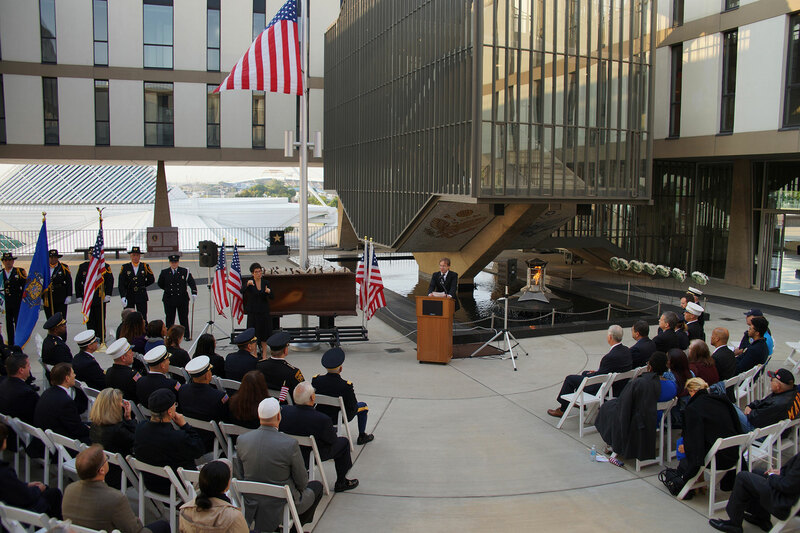 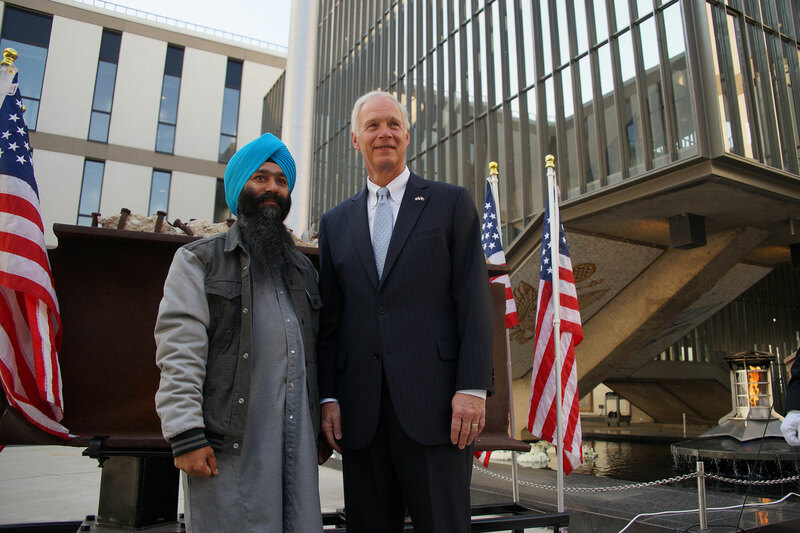 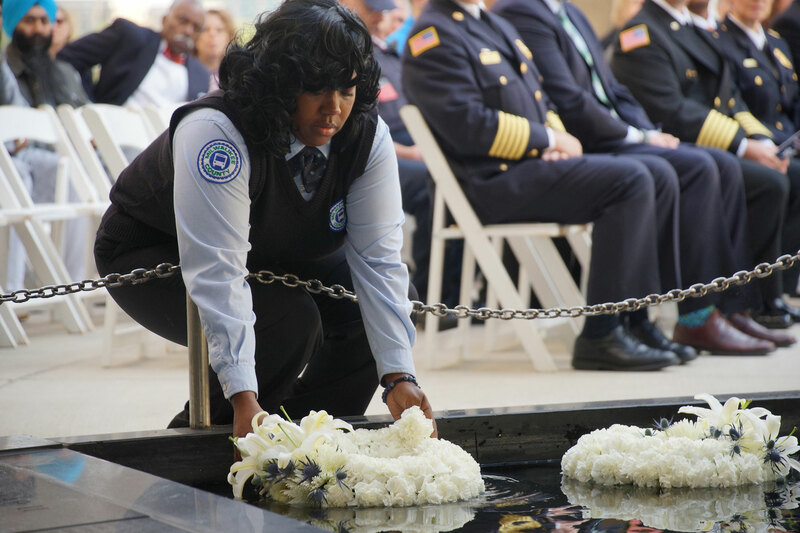 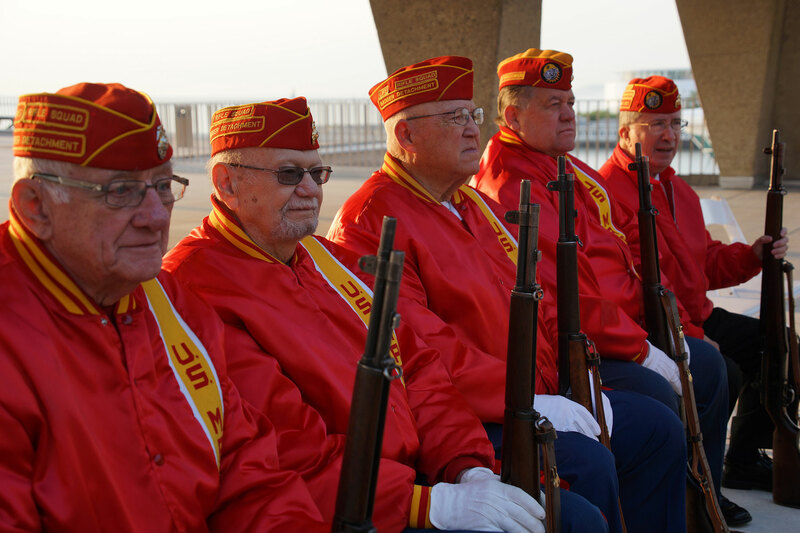 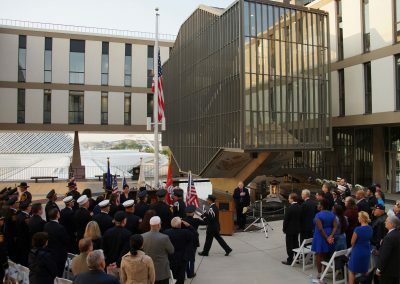 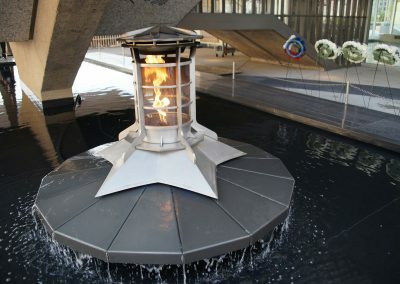 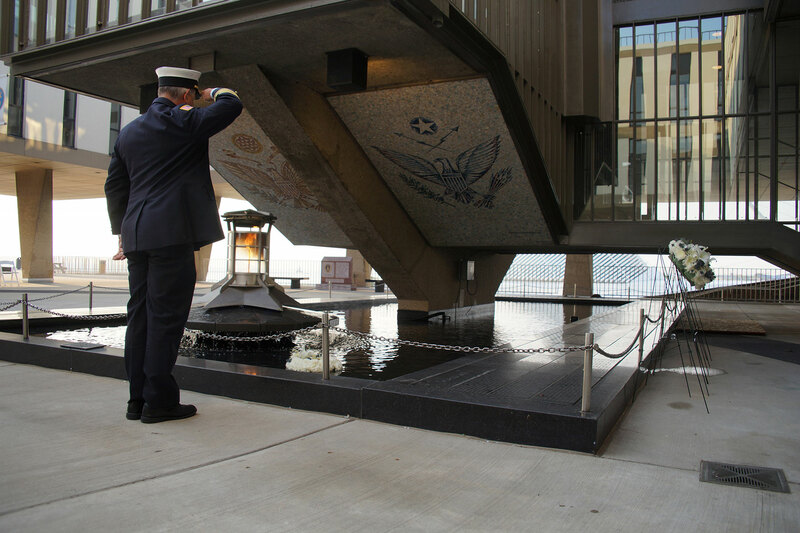 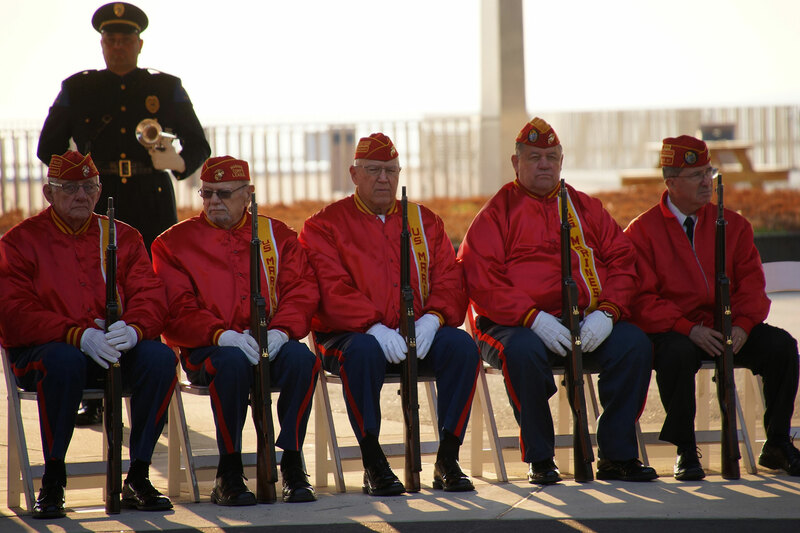 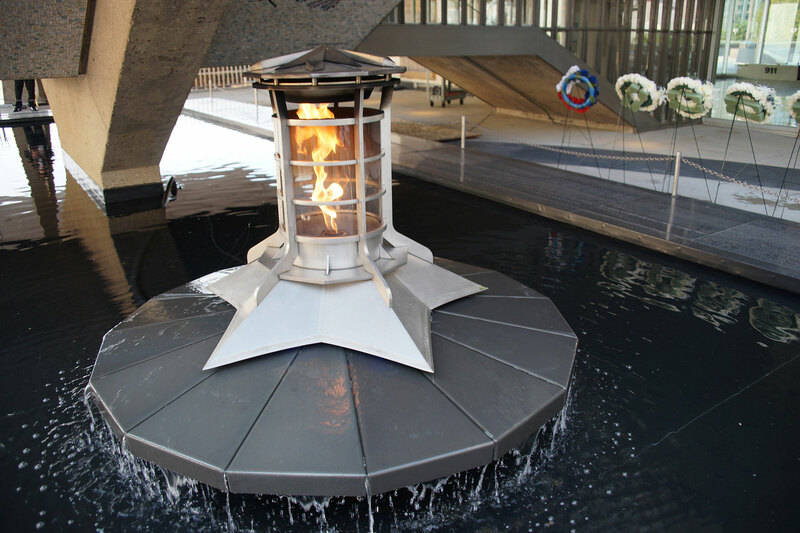 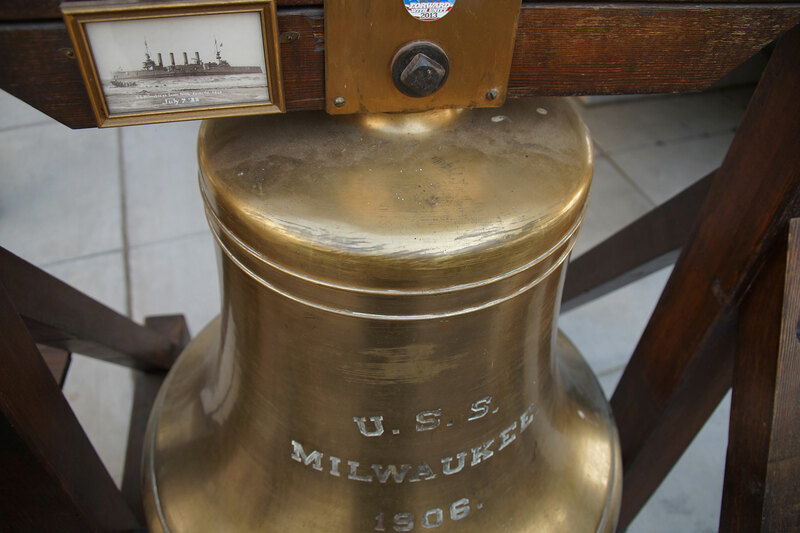 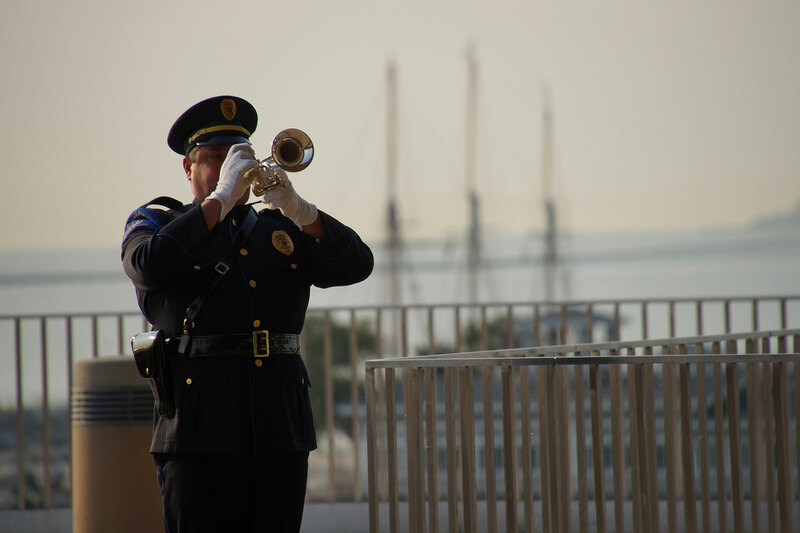 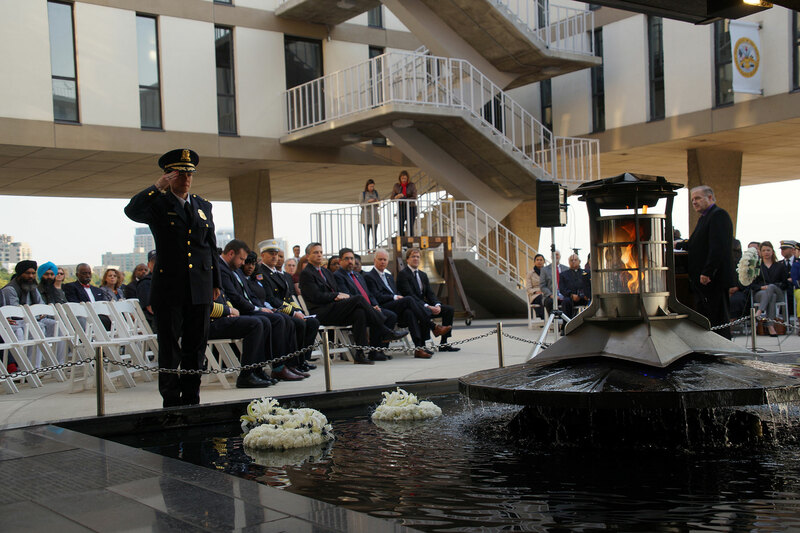 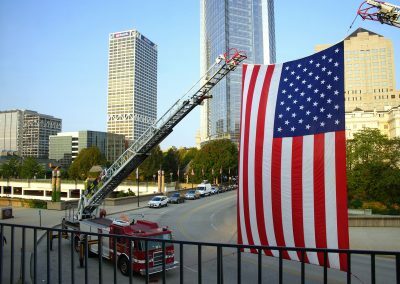 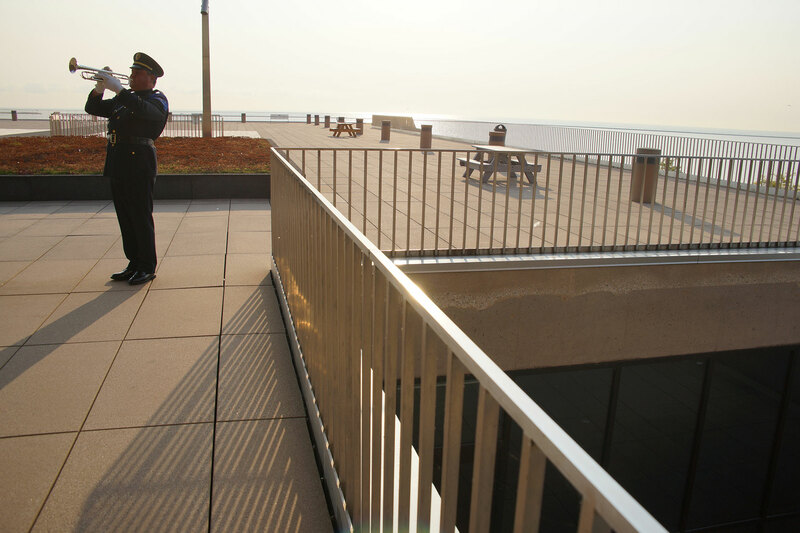 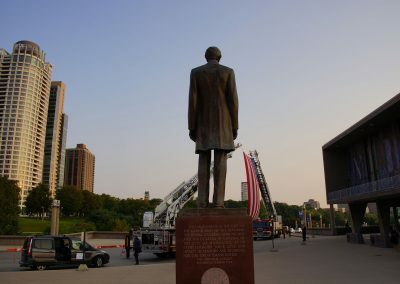 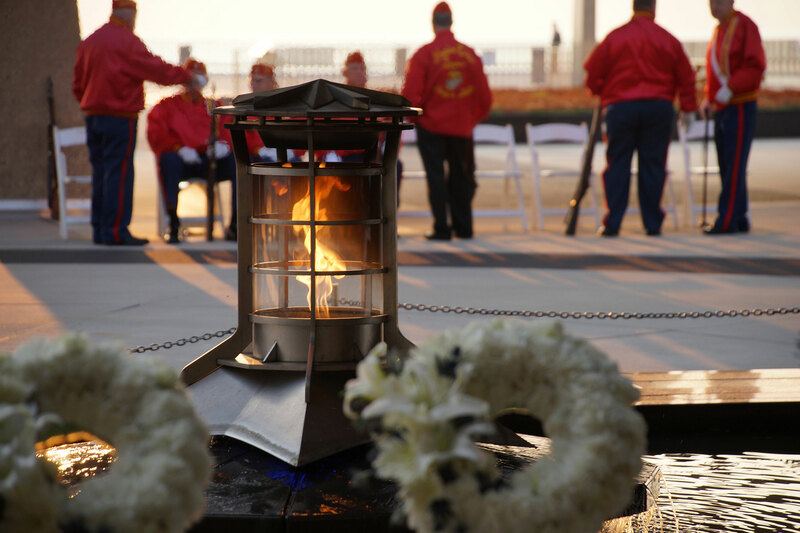 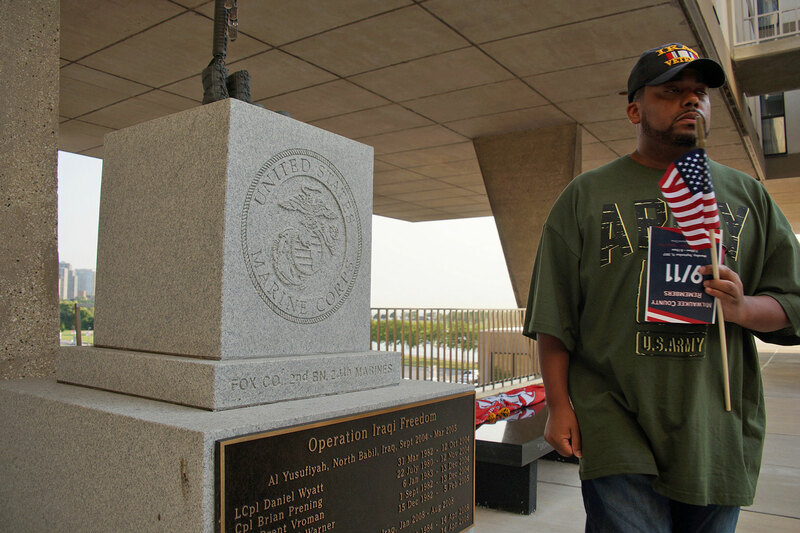 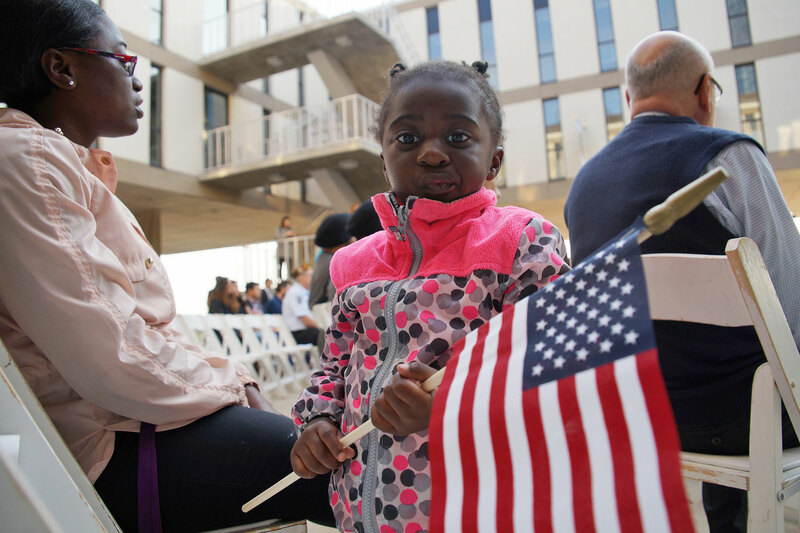 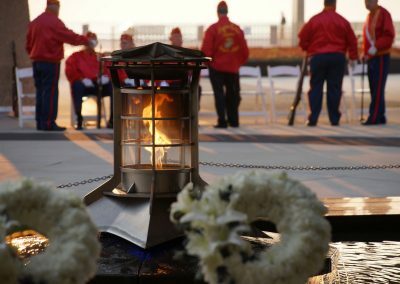 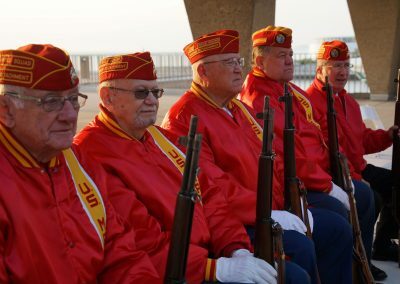 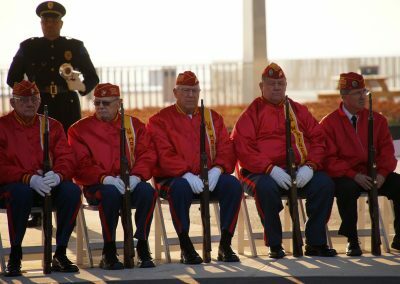 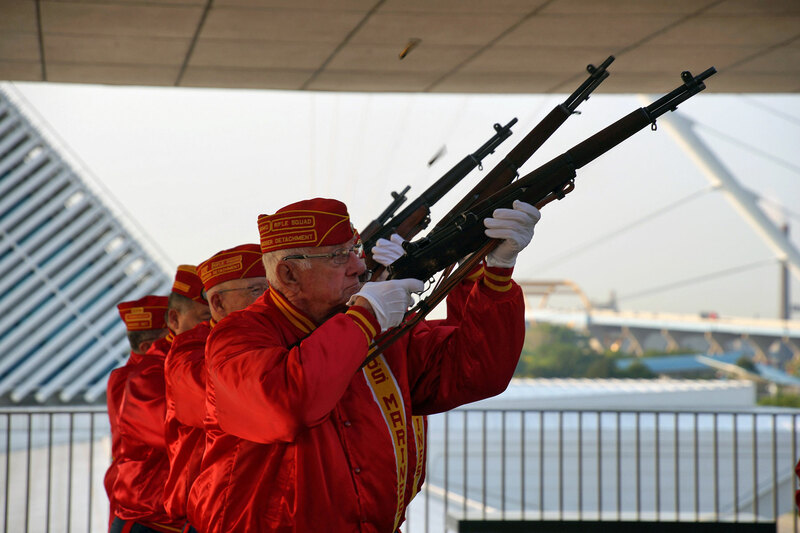 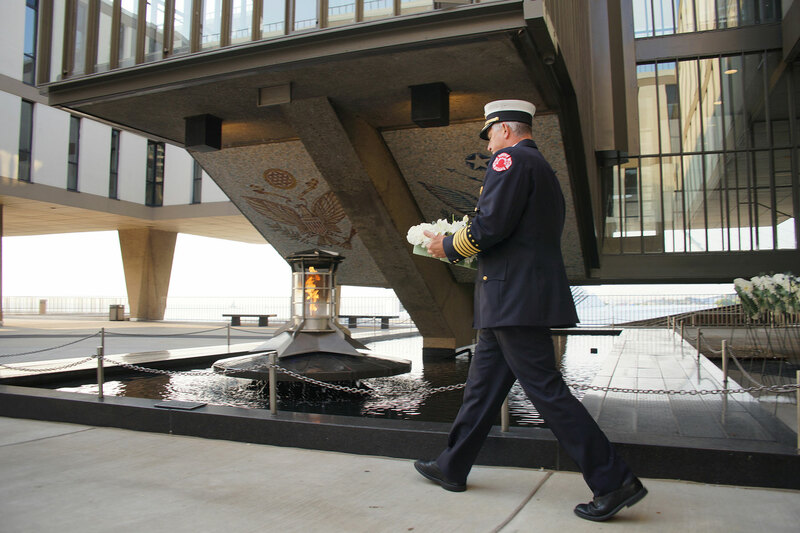 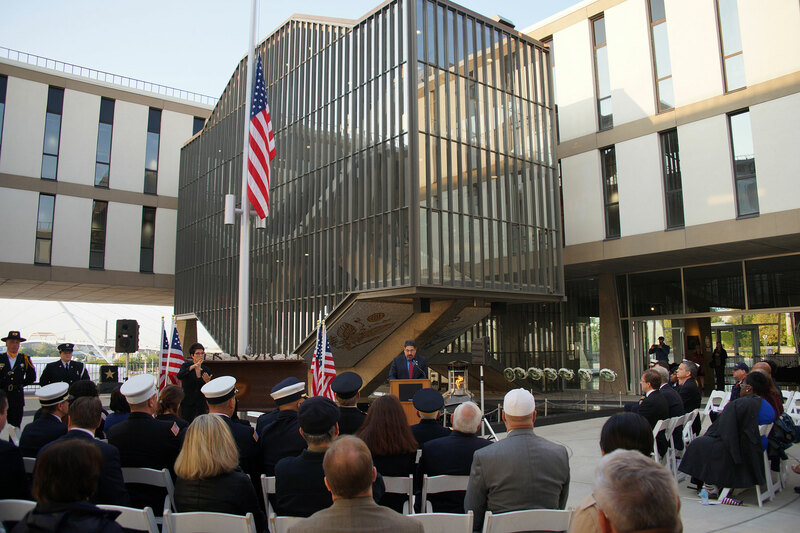 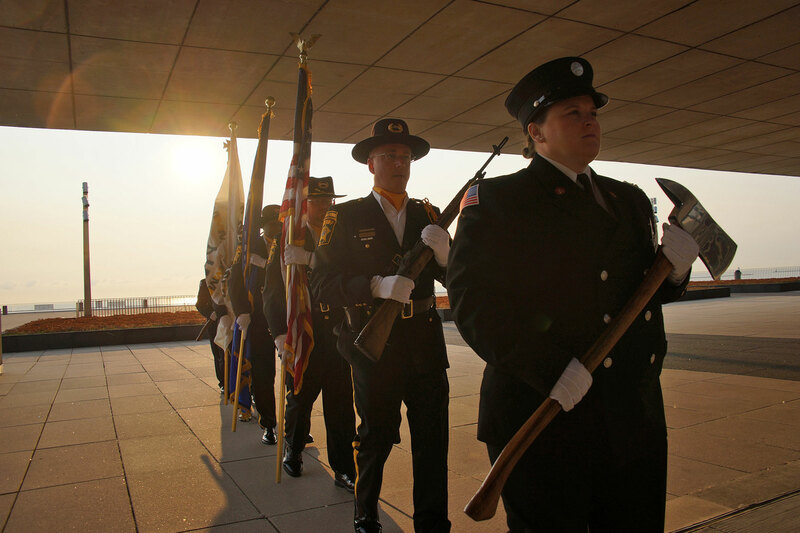 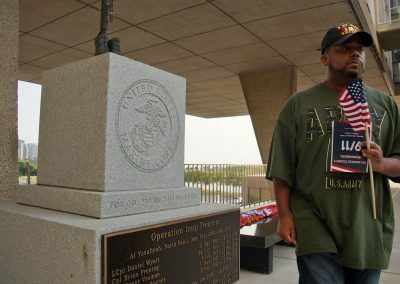 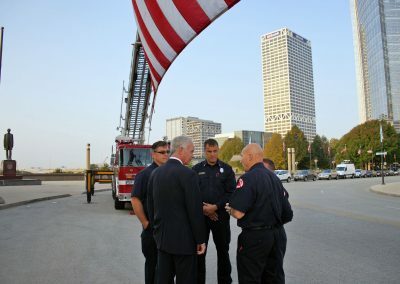 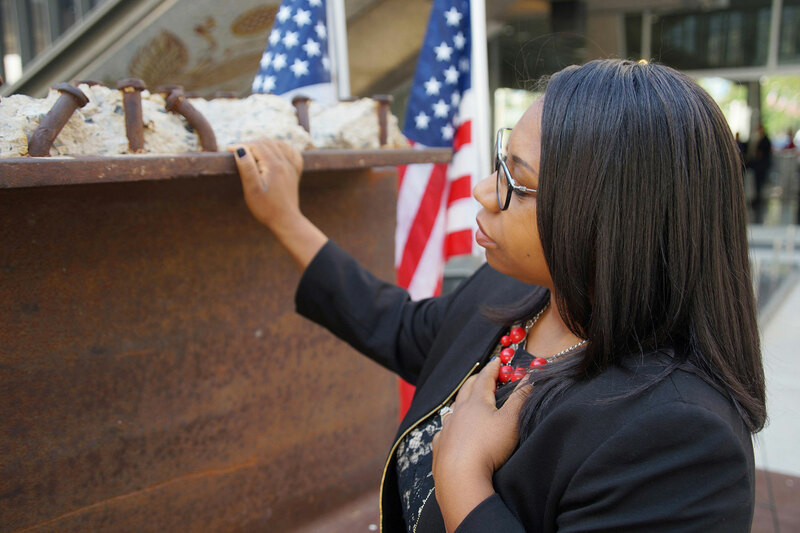 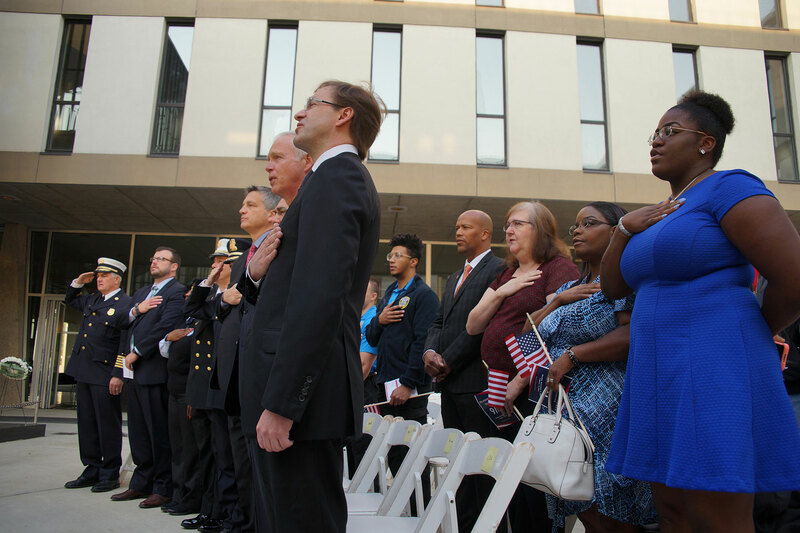 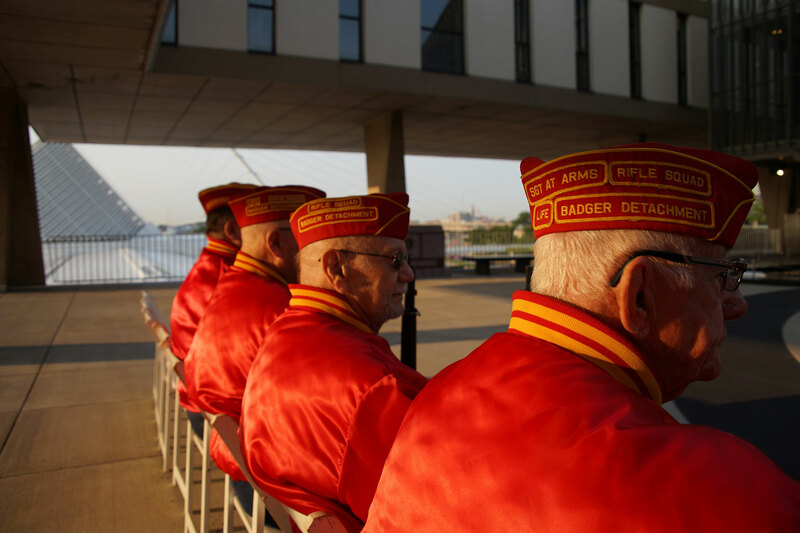 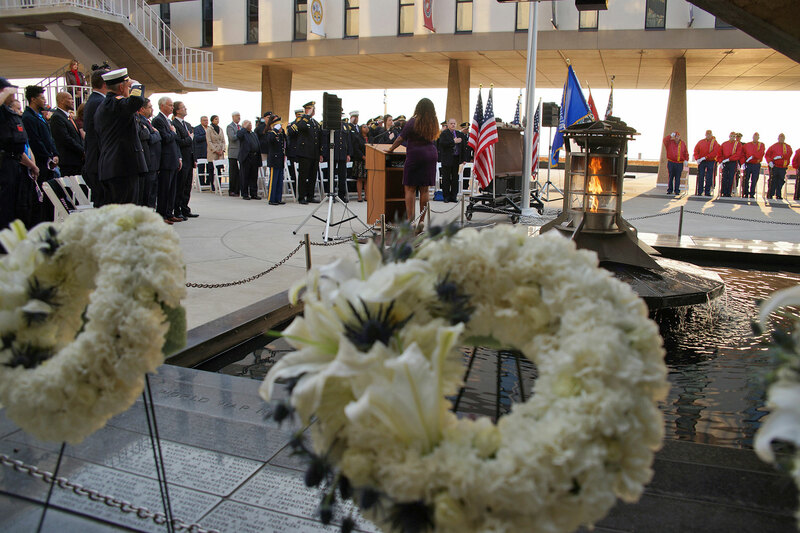 Milwaukee held a memorial ceremony in remembrance of the 16th anniversary of the 9/11 tragedy along Lake Michigan. 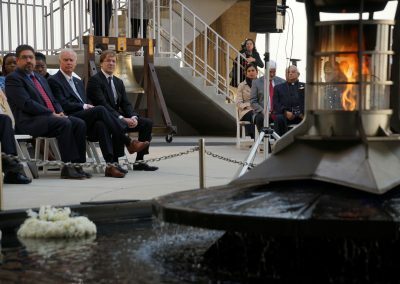 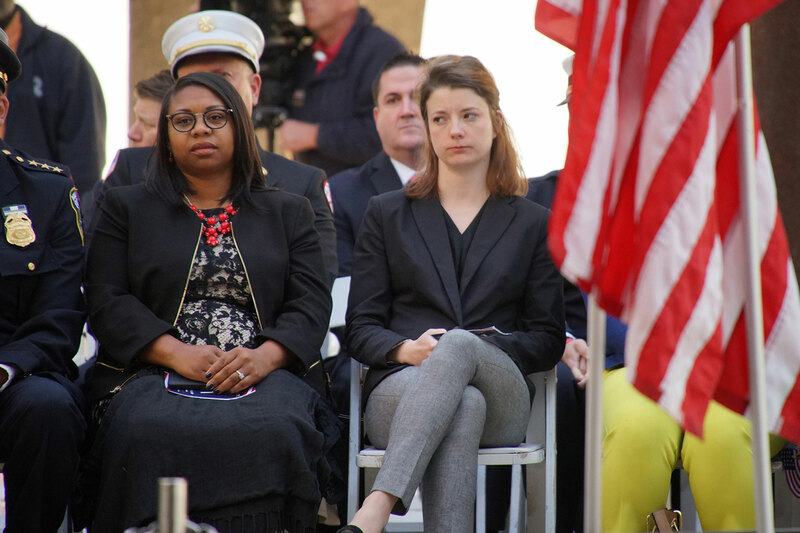 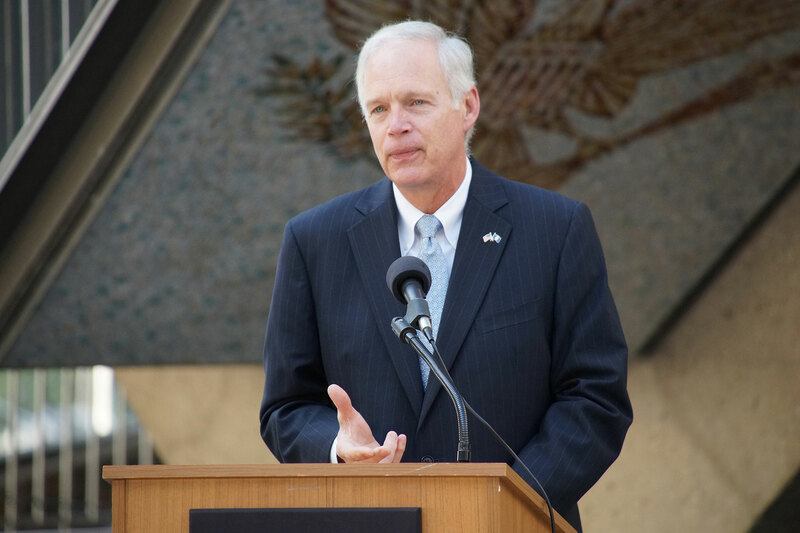 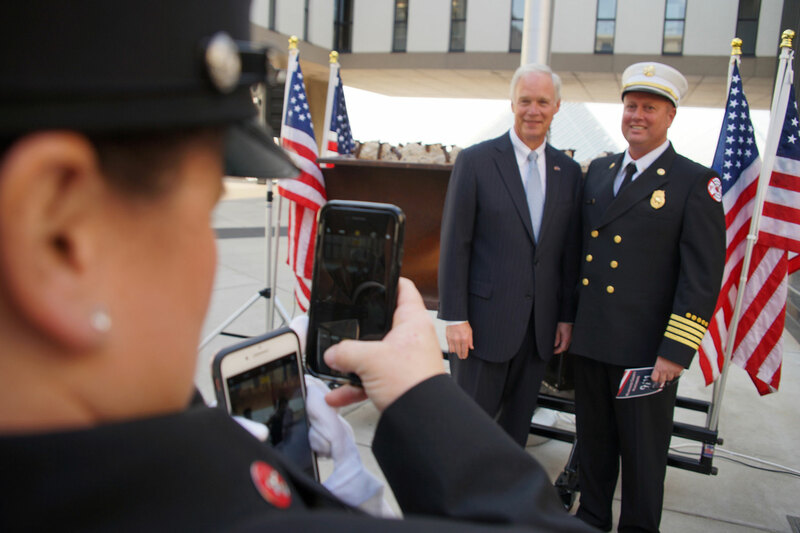 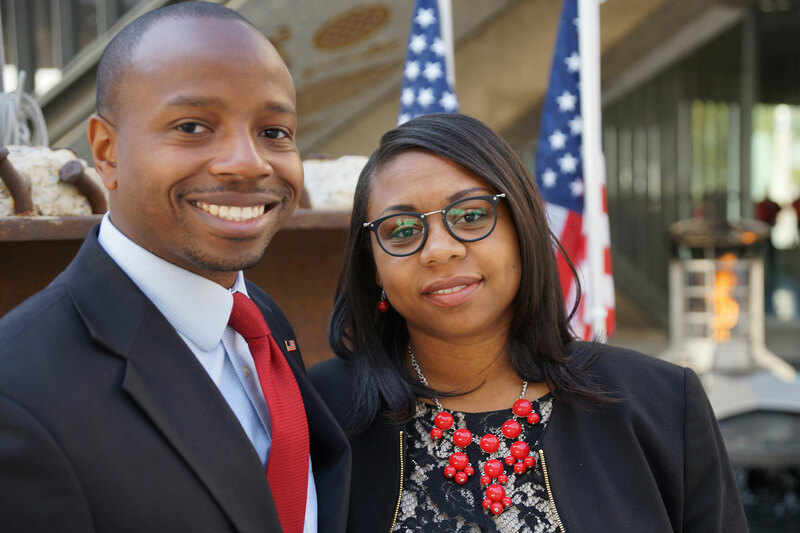 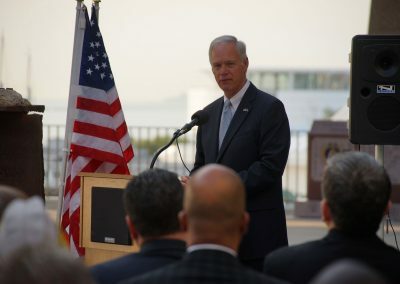 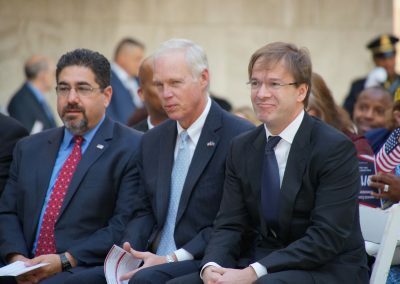 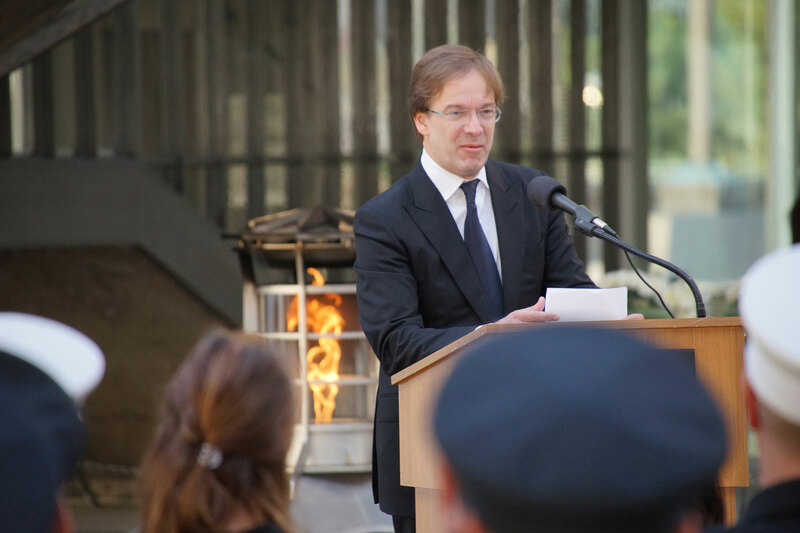 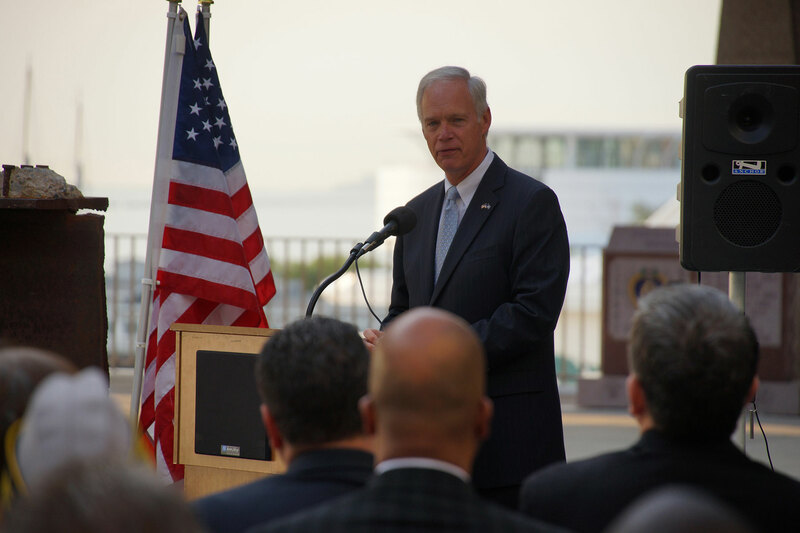 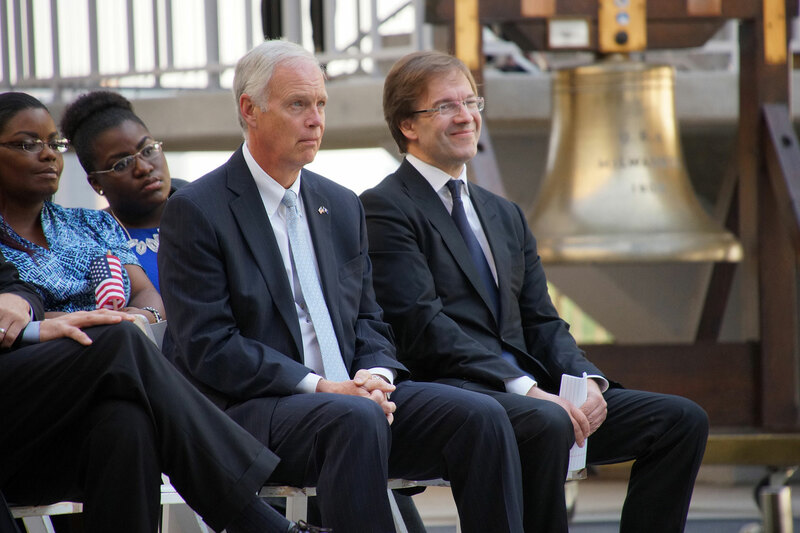 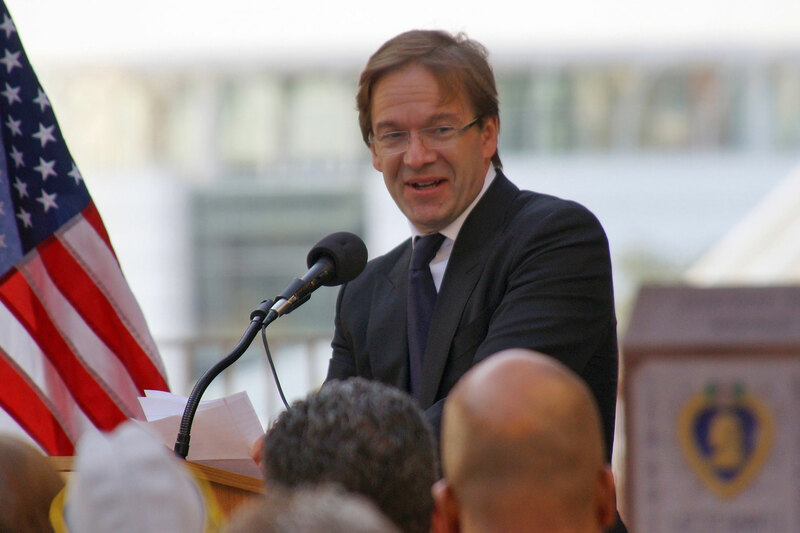 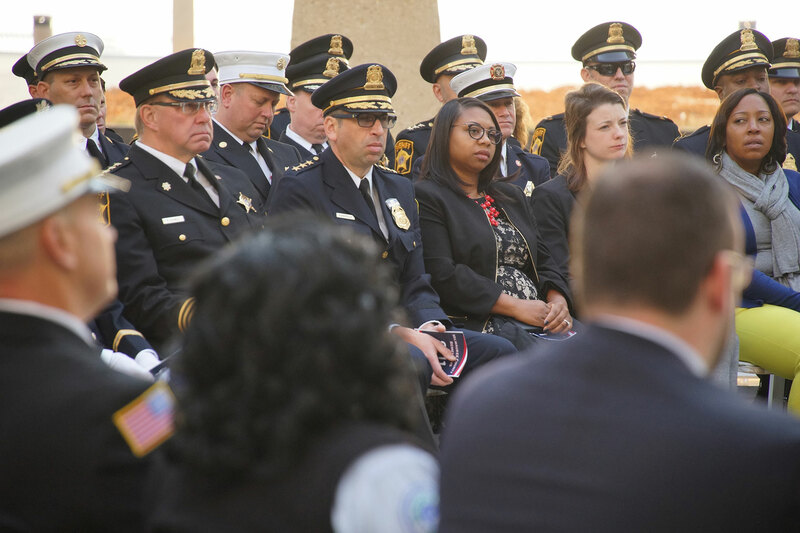 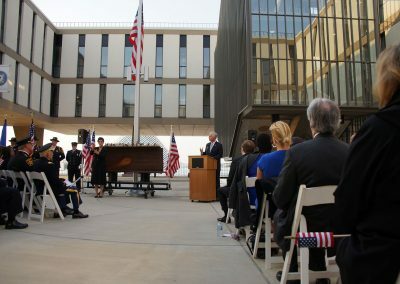 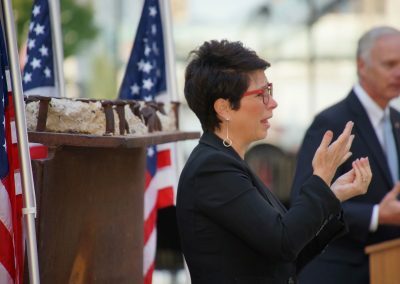 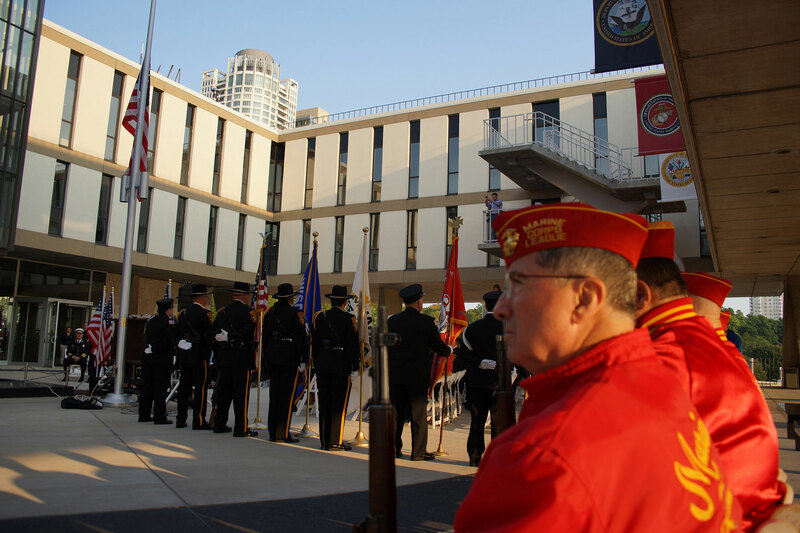 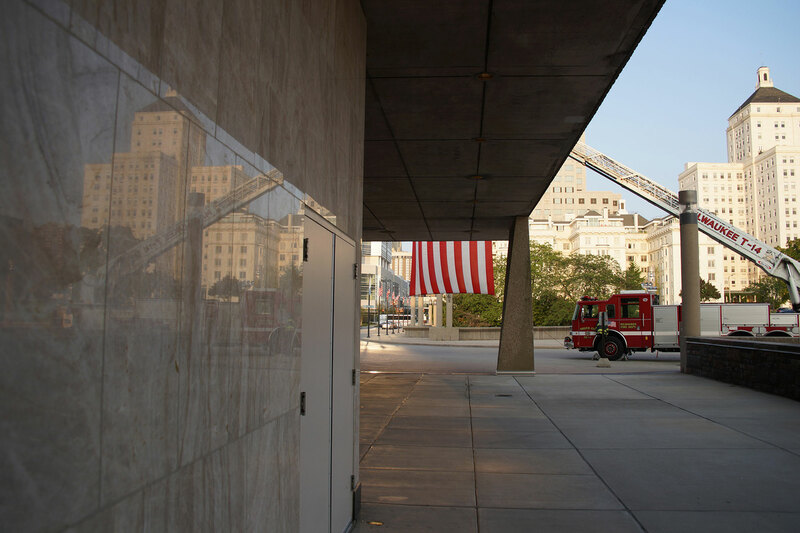 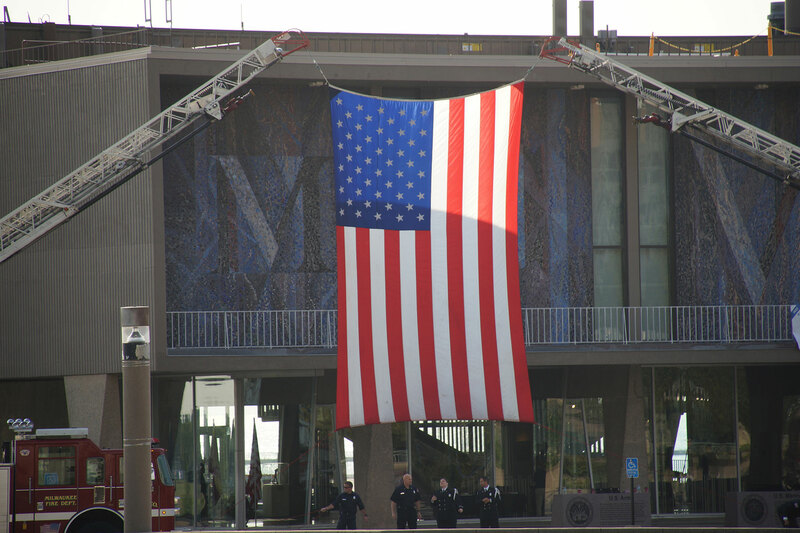 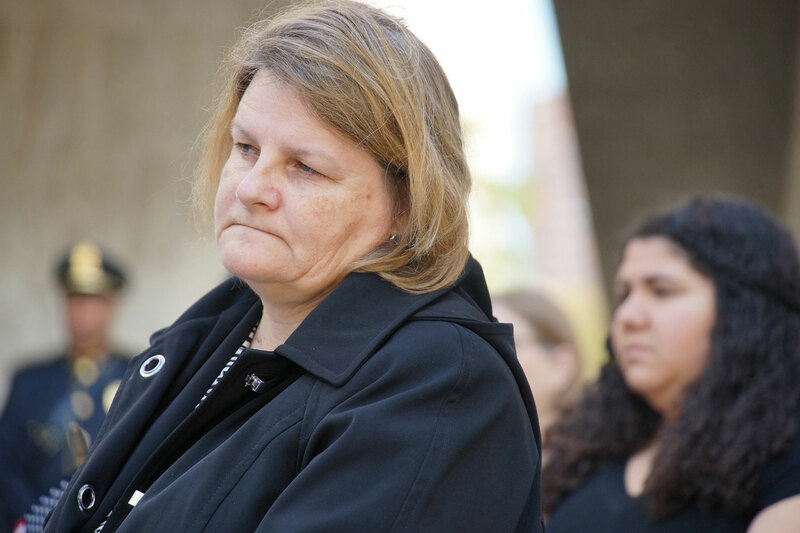 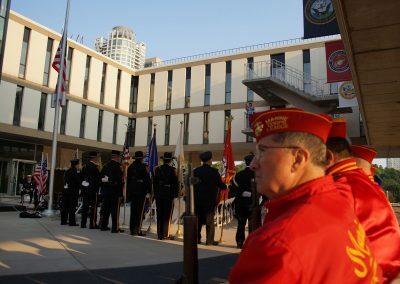 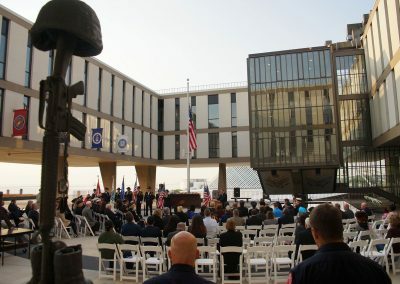 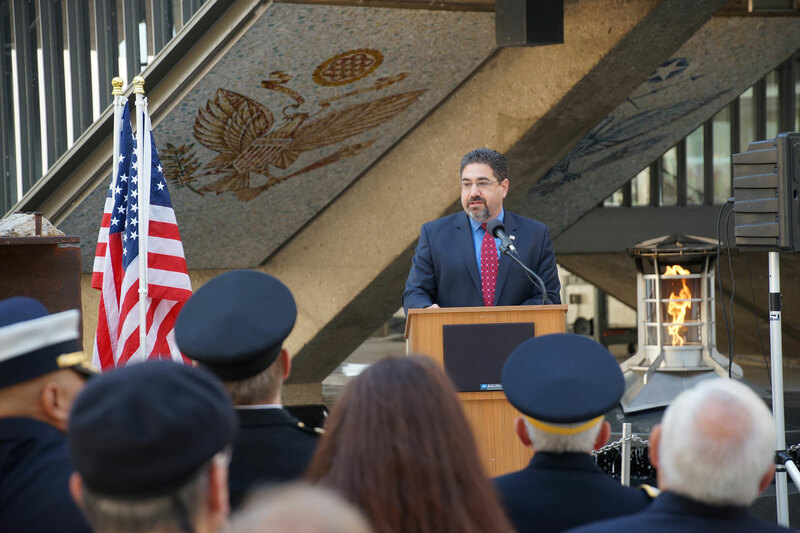 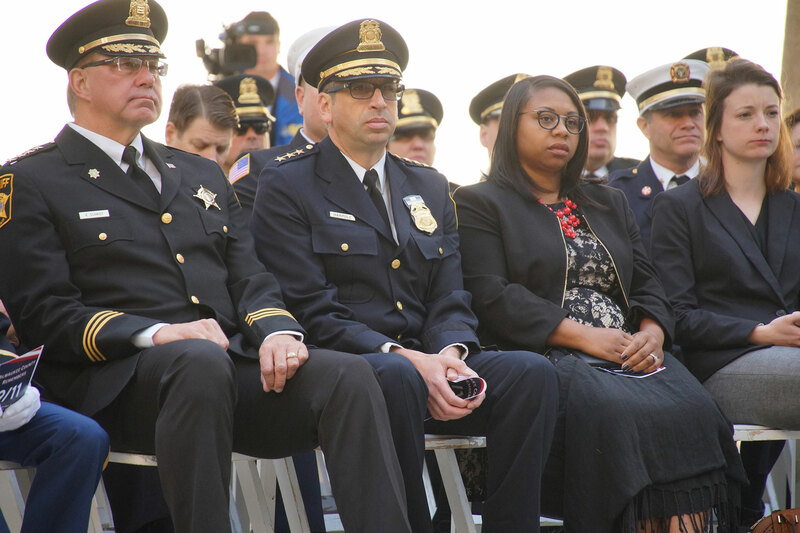 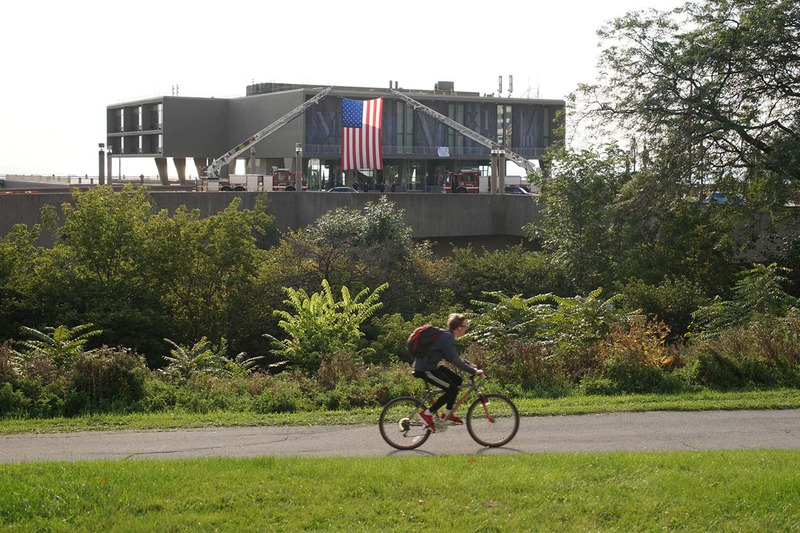 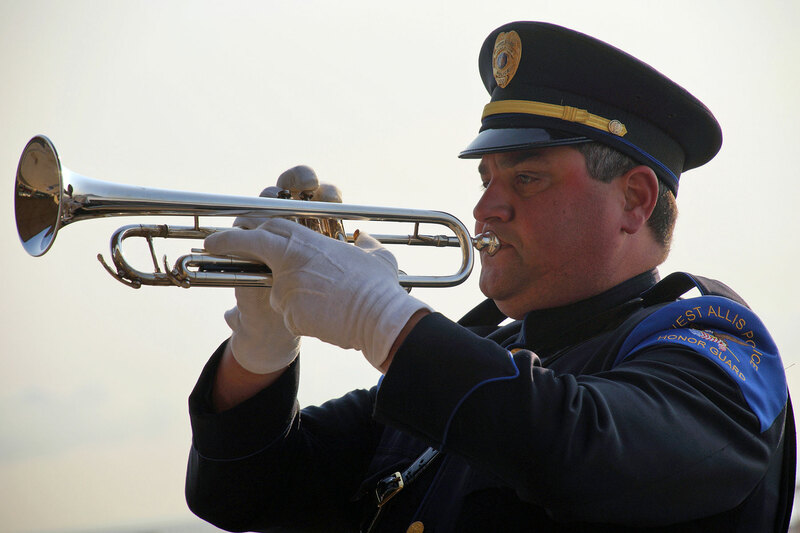 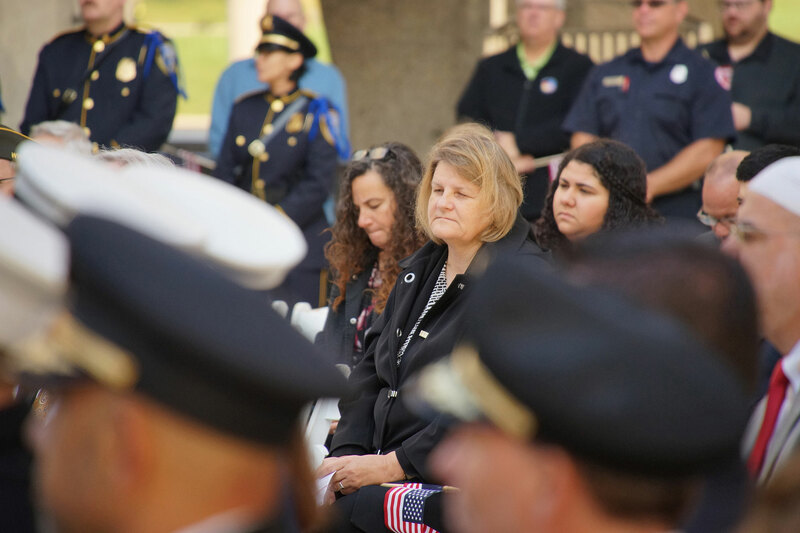 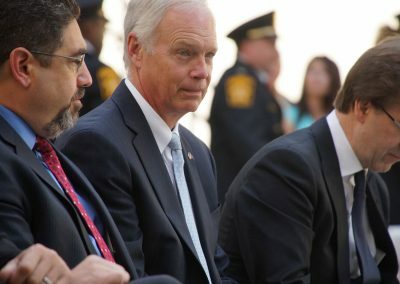 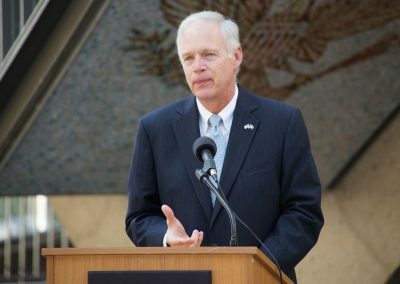 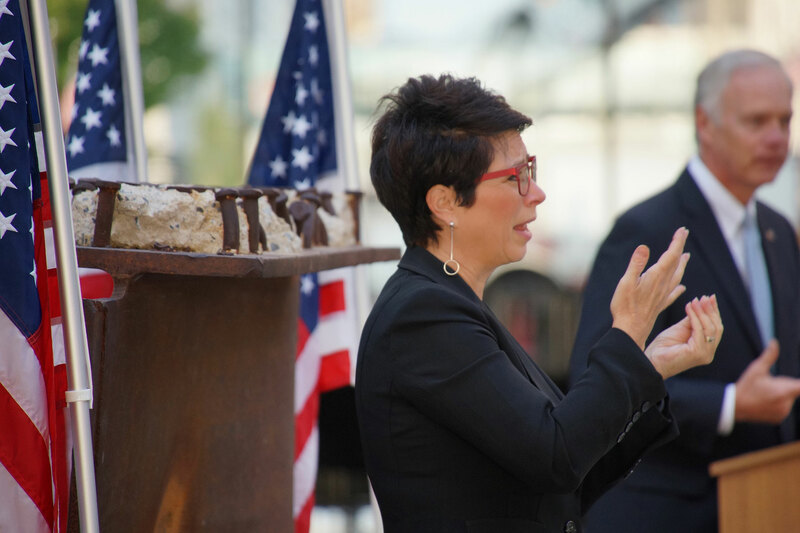 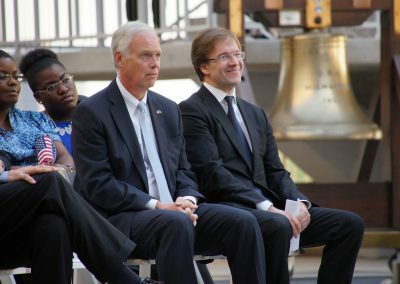 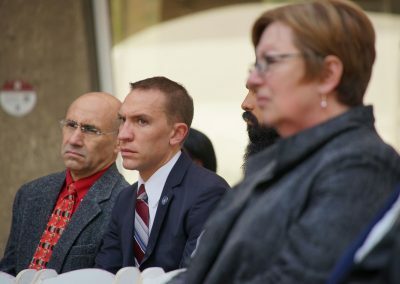 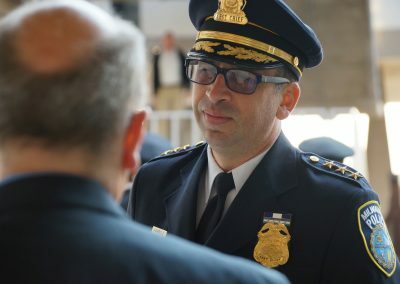 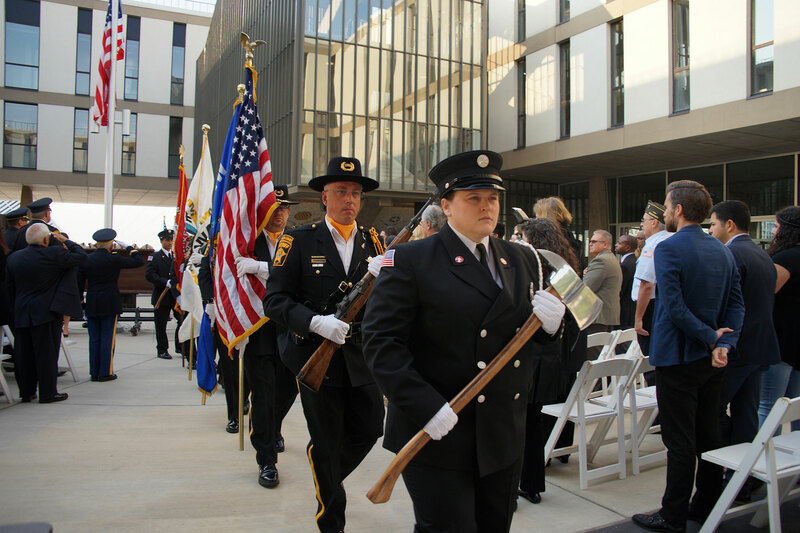 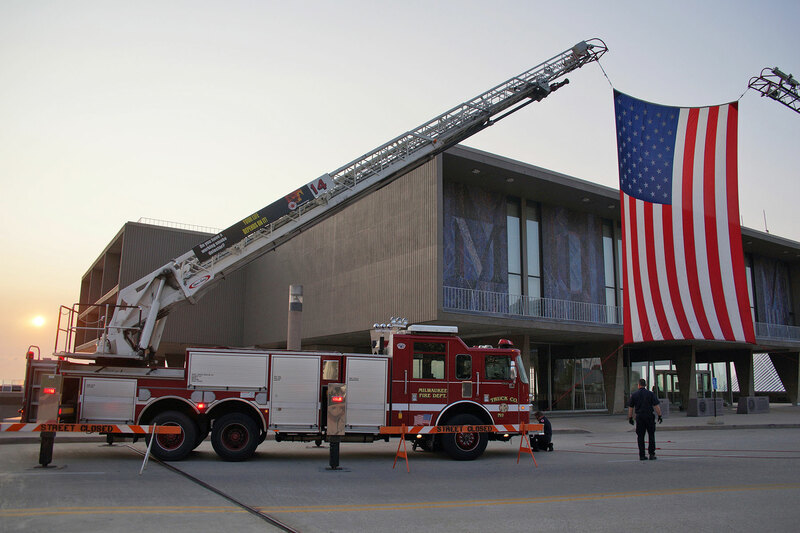 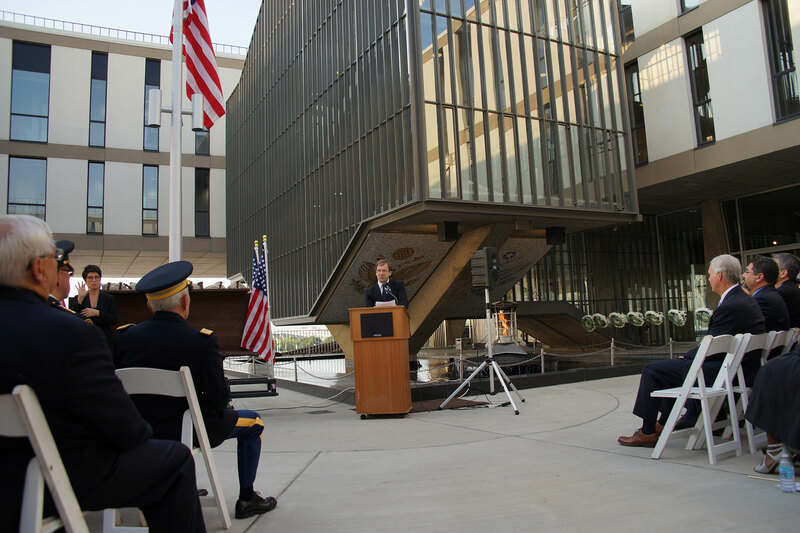 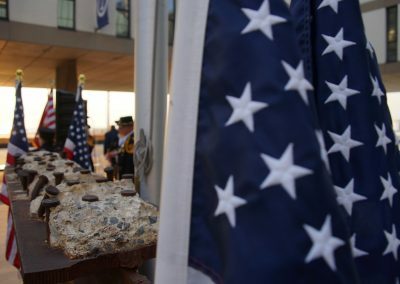 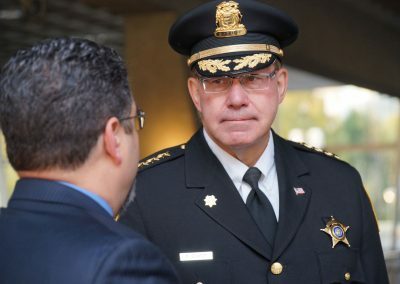 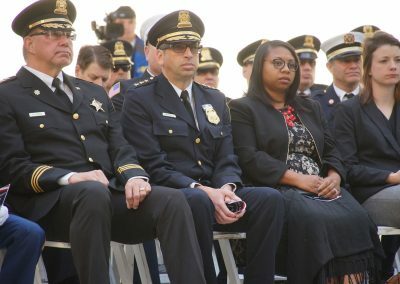 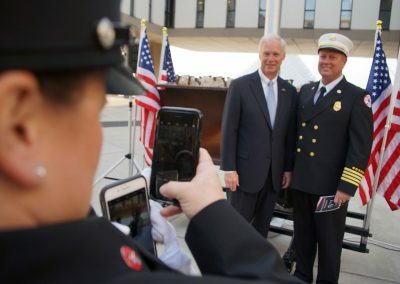 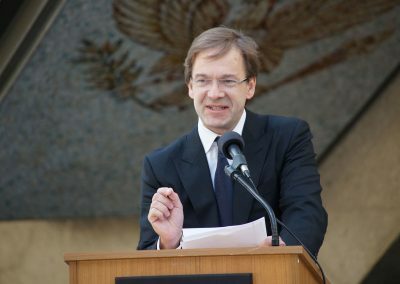 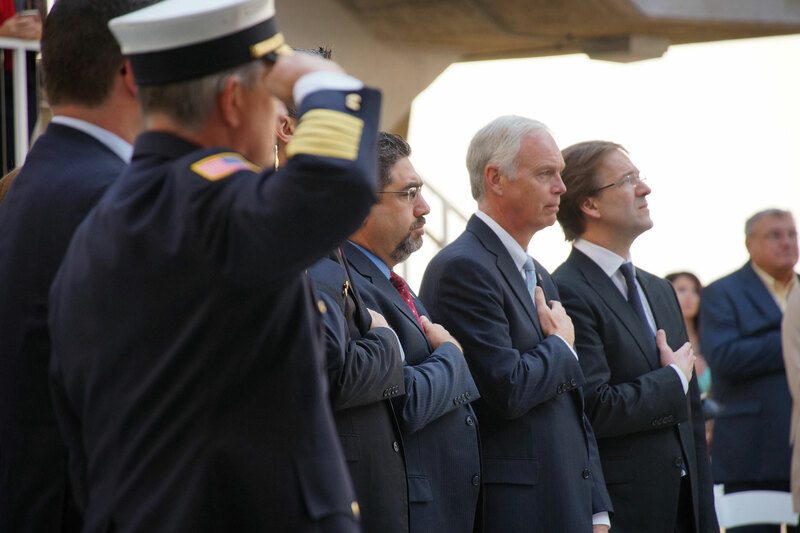 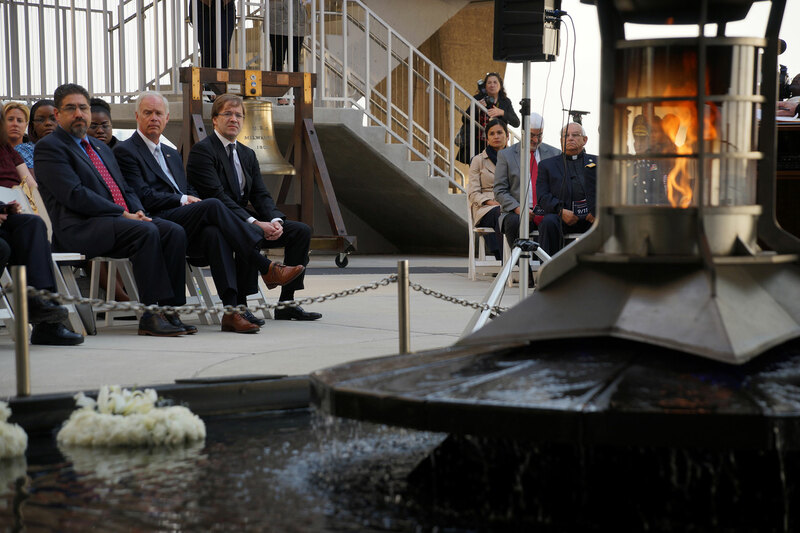 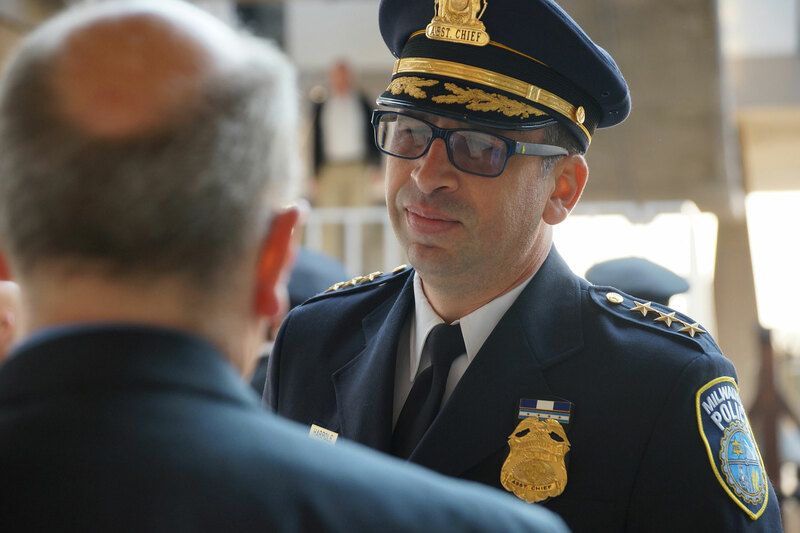 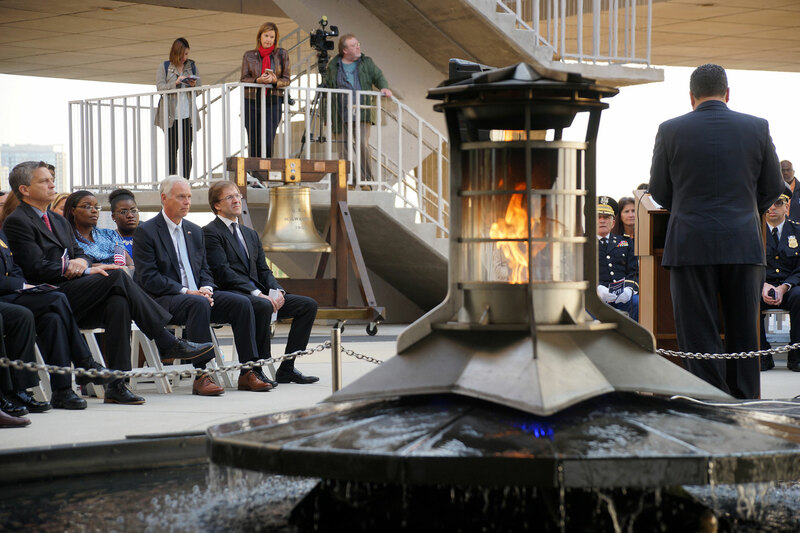 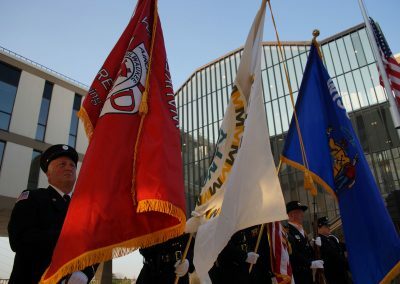 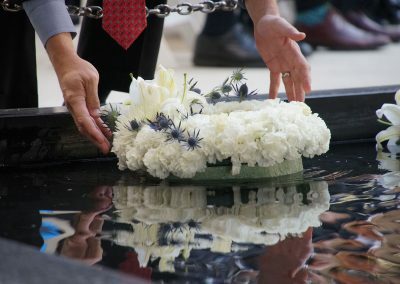 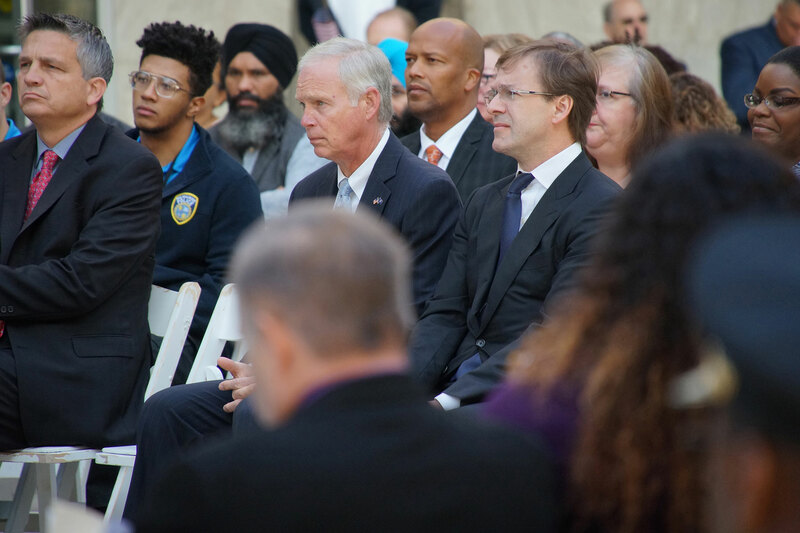 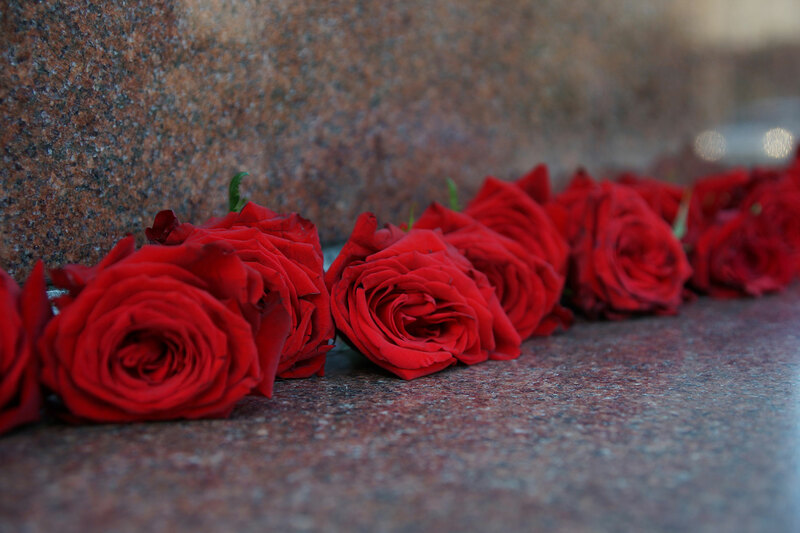 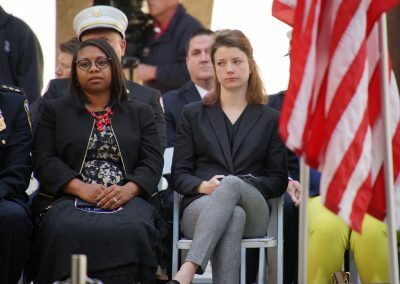 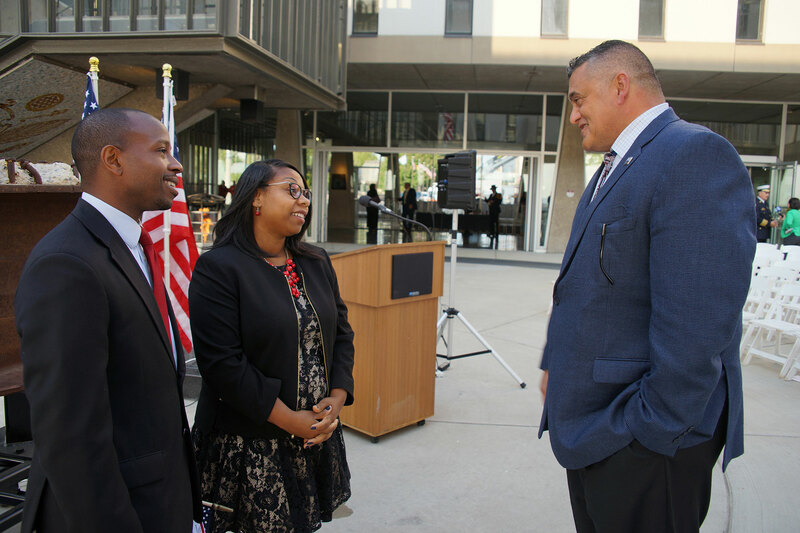 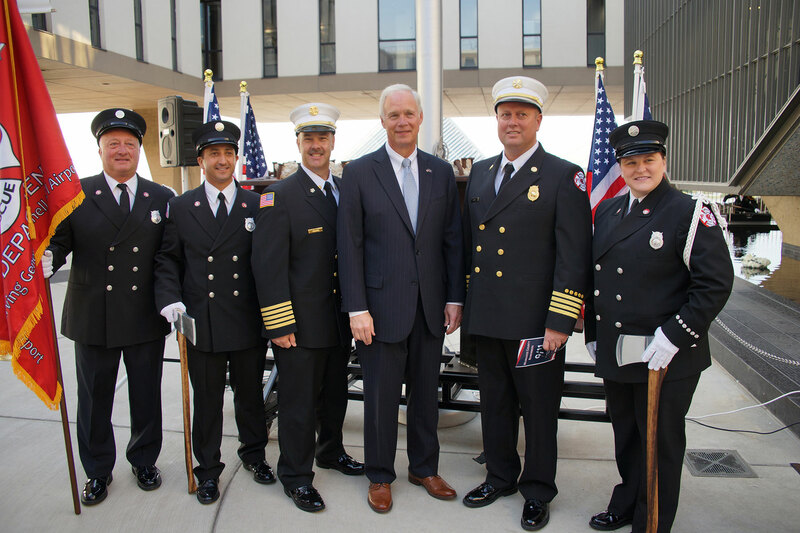 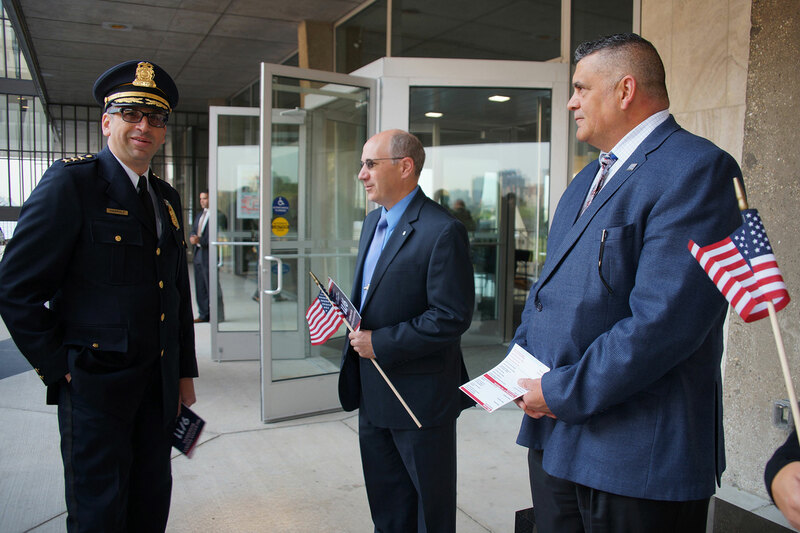 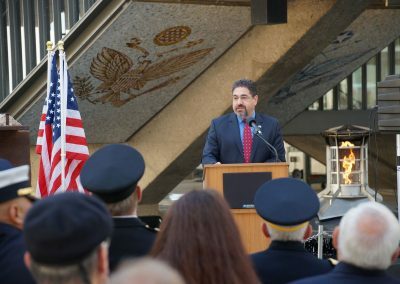 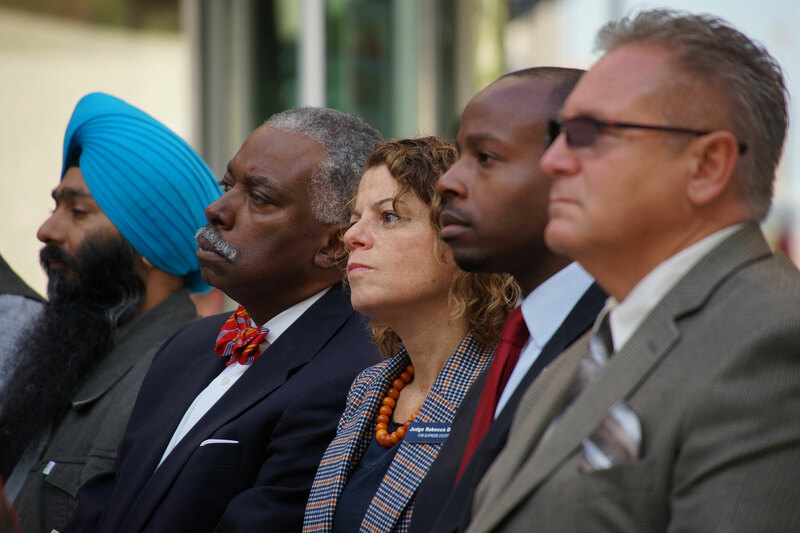 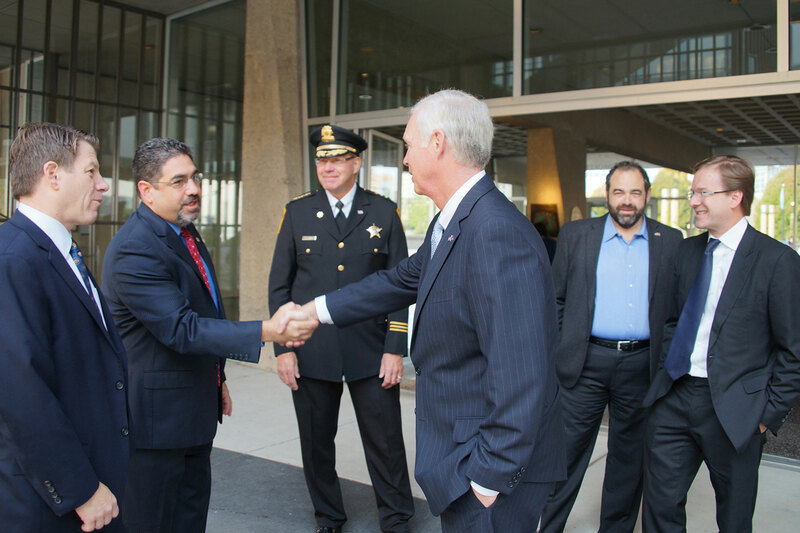 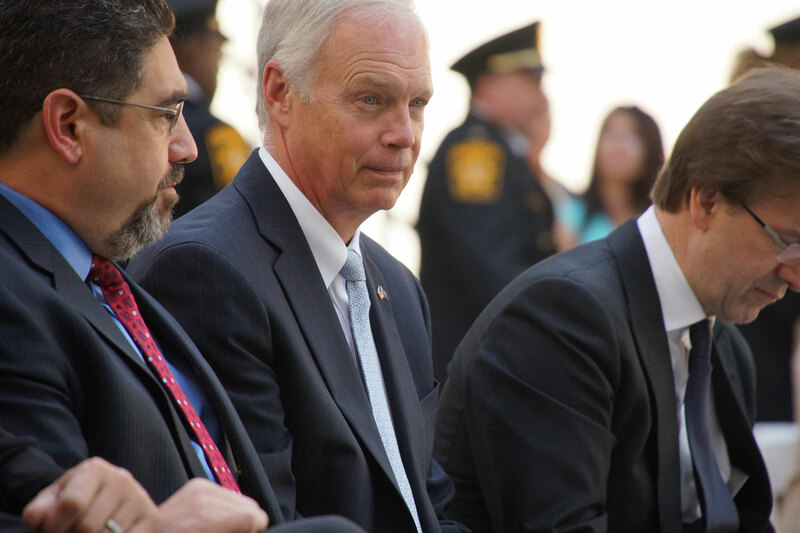 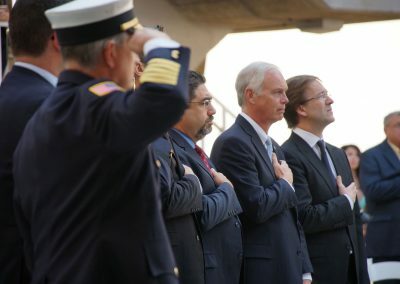 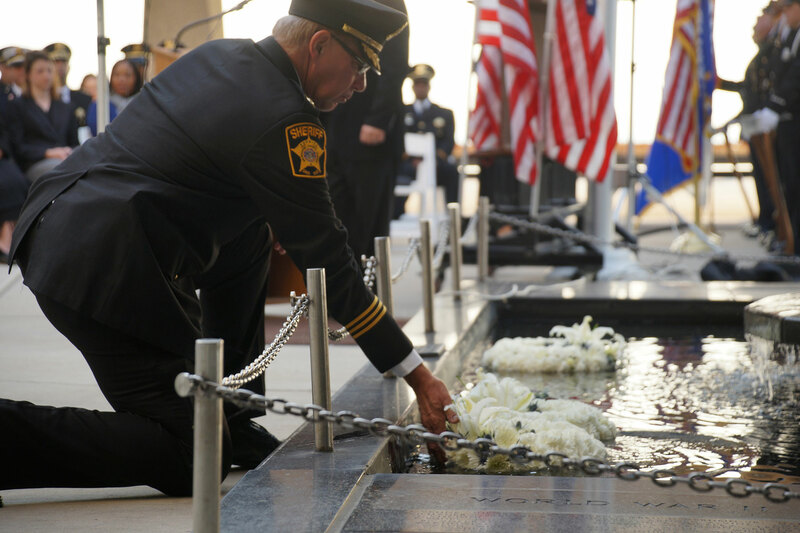 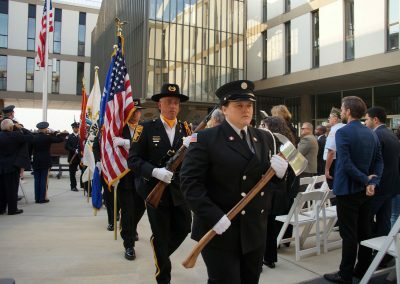 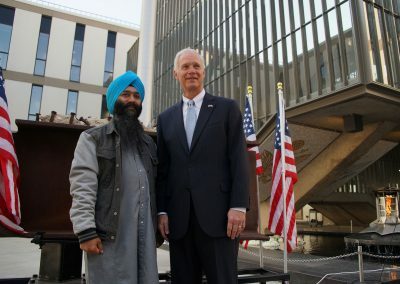 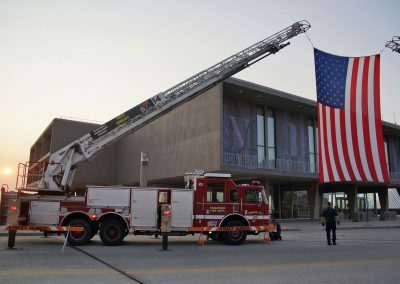 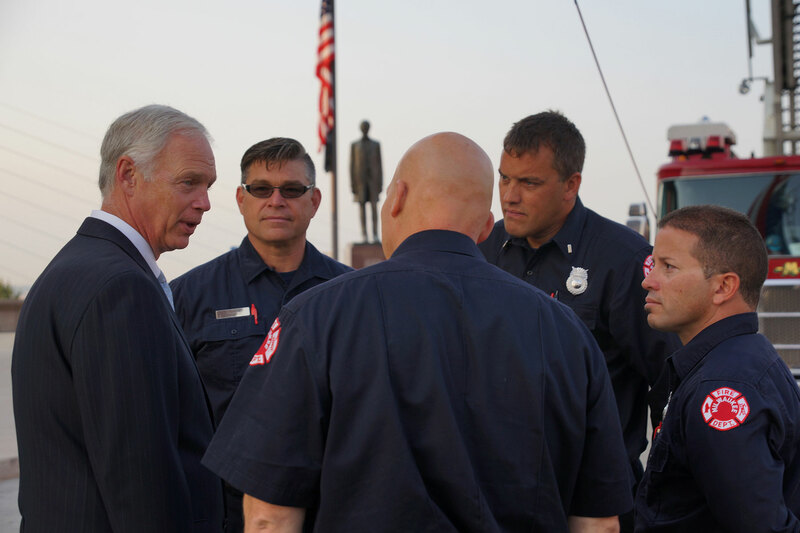 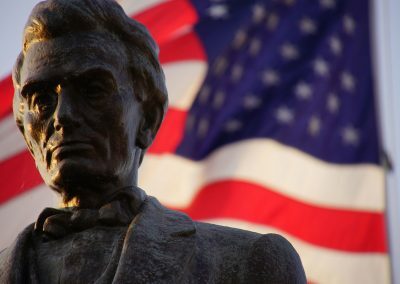 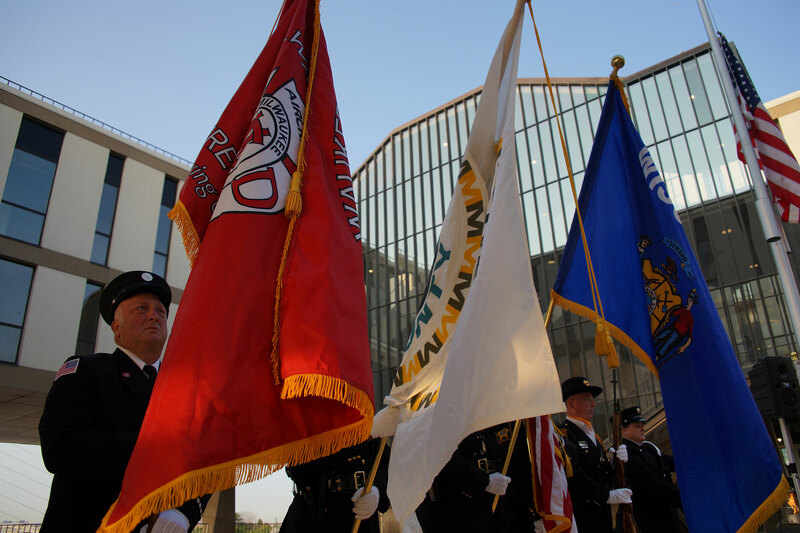 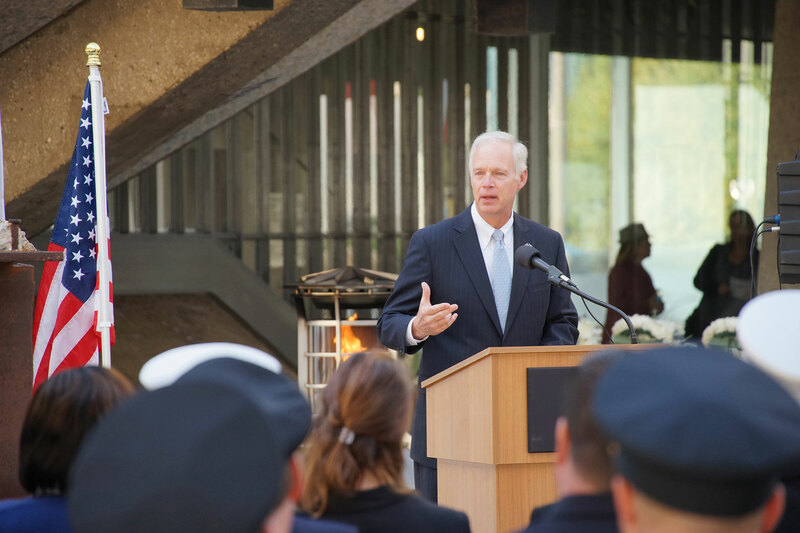 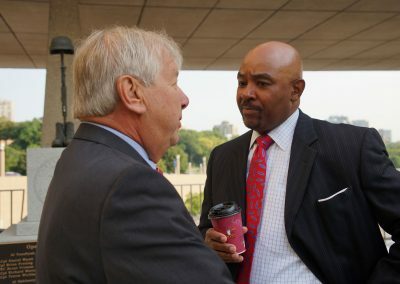 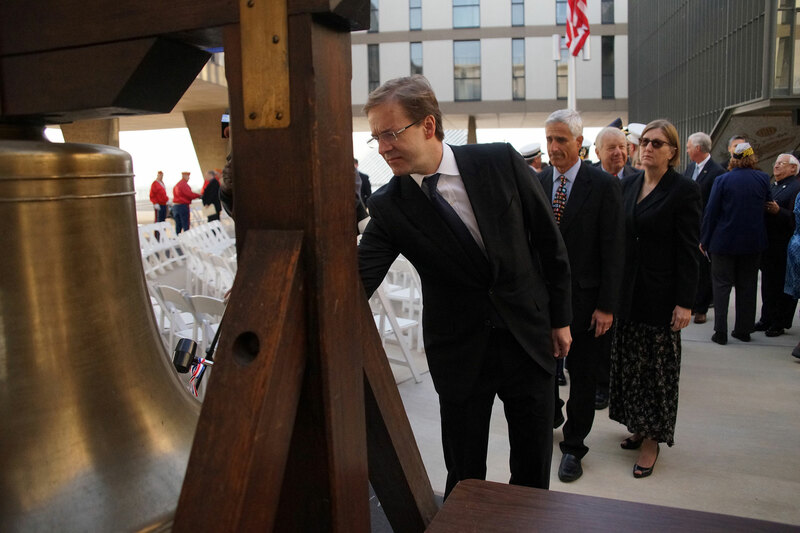 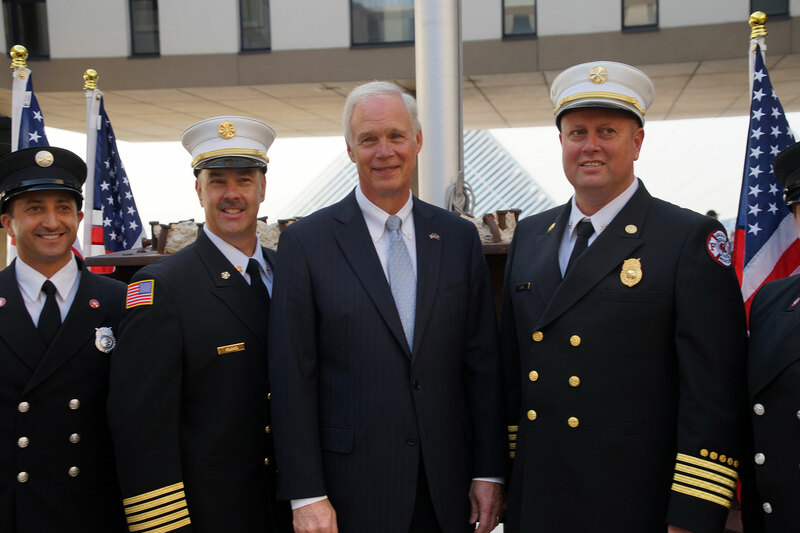 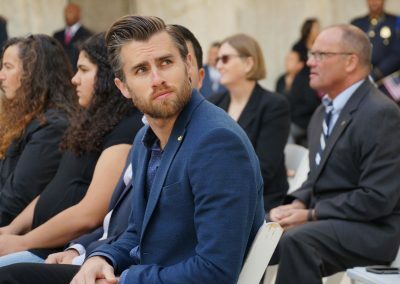 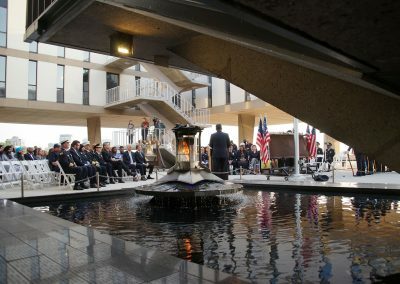 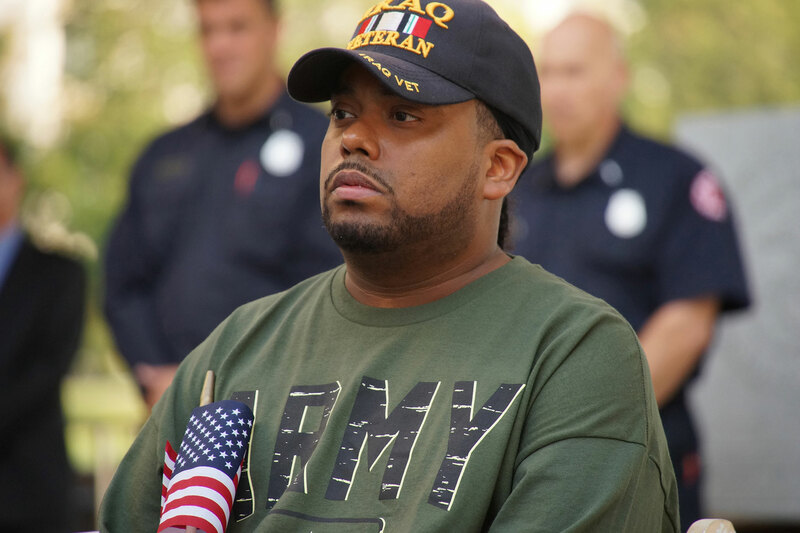 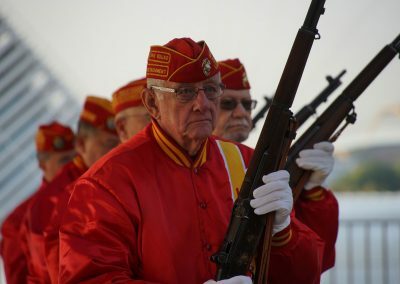 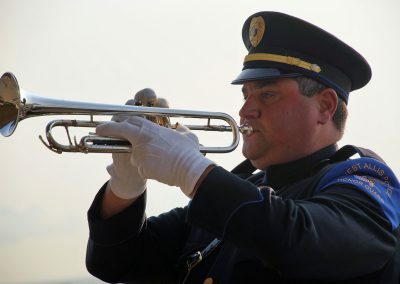 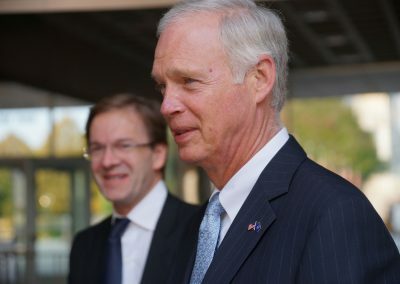 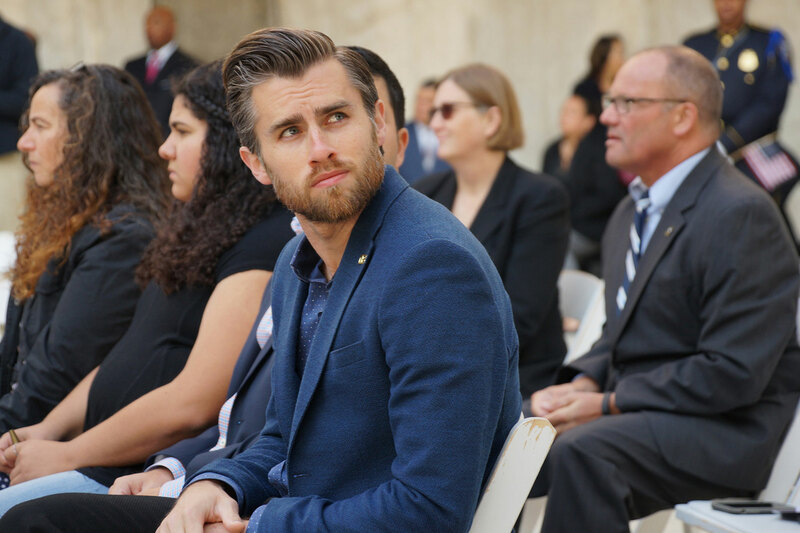 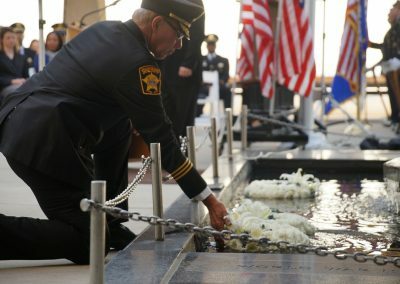 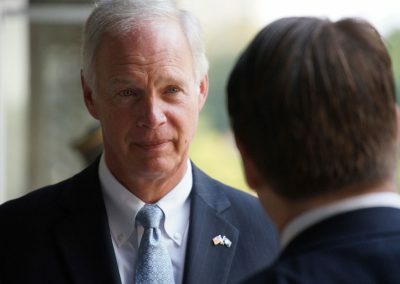 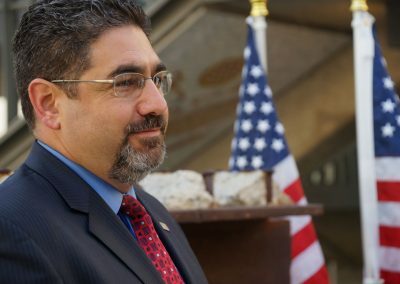 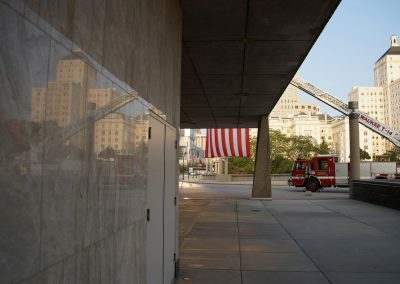 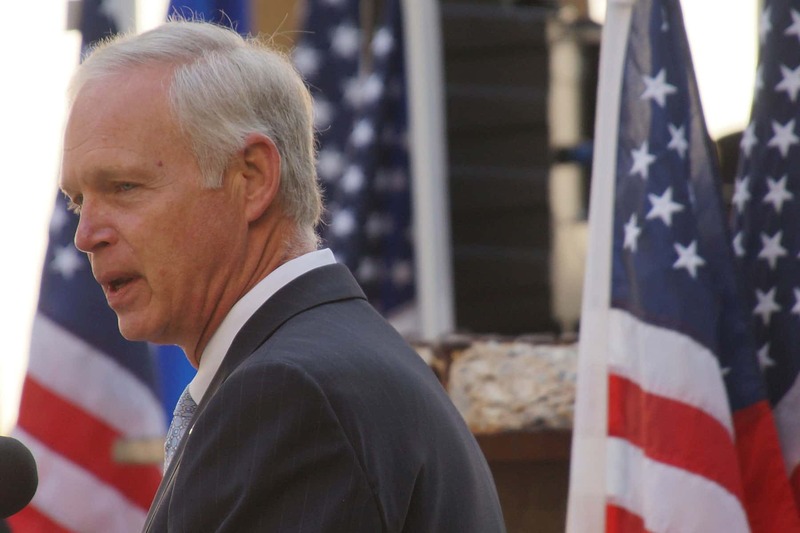 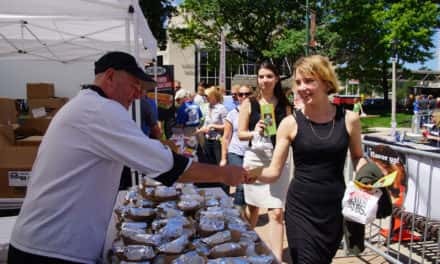 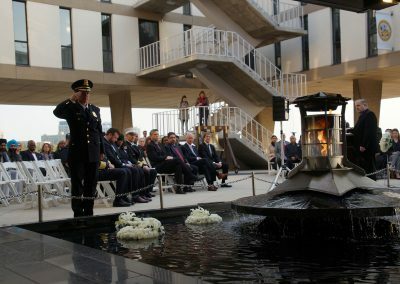 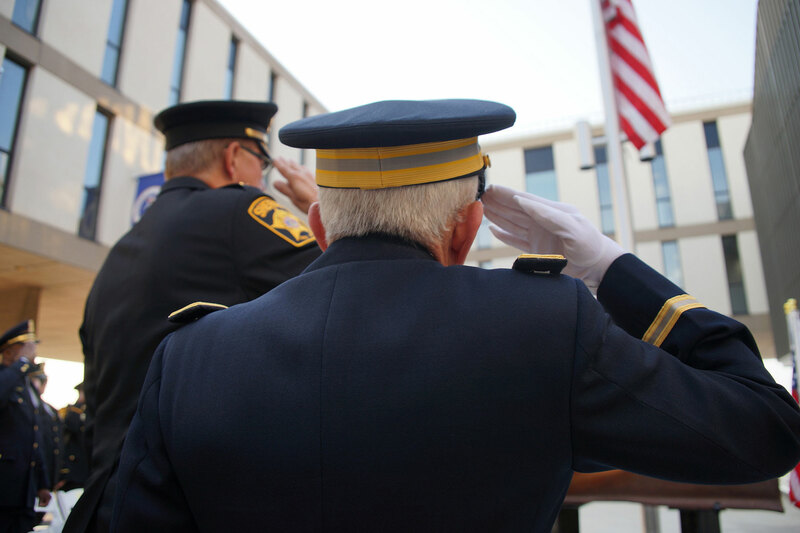 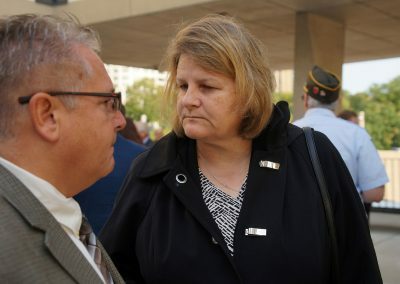 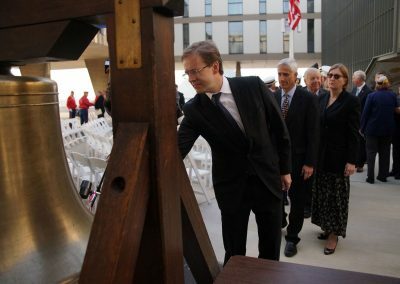 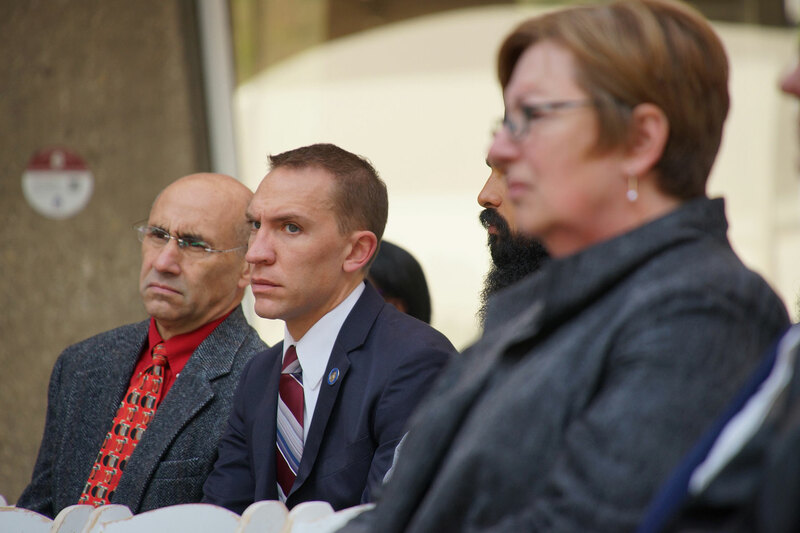 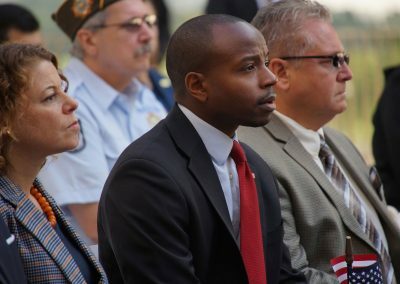 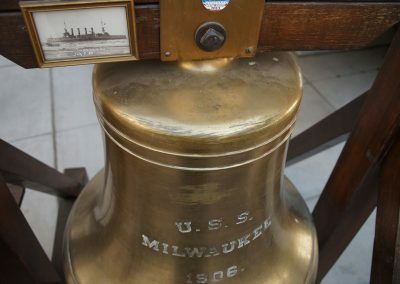 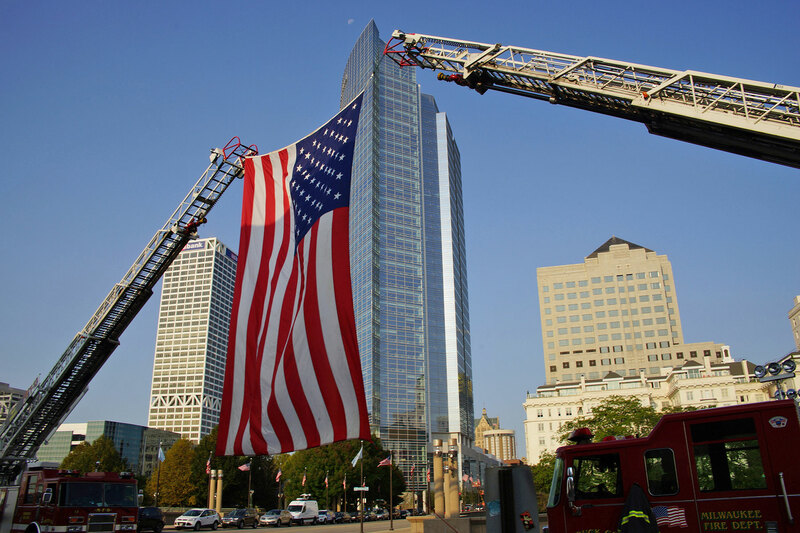 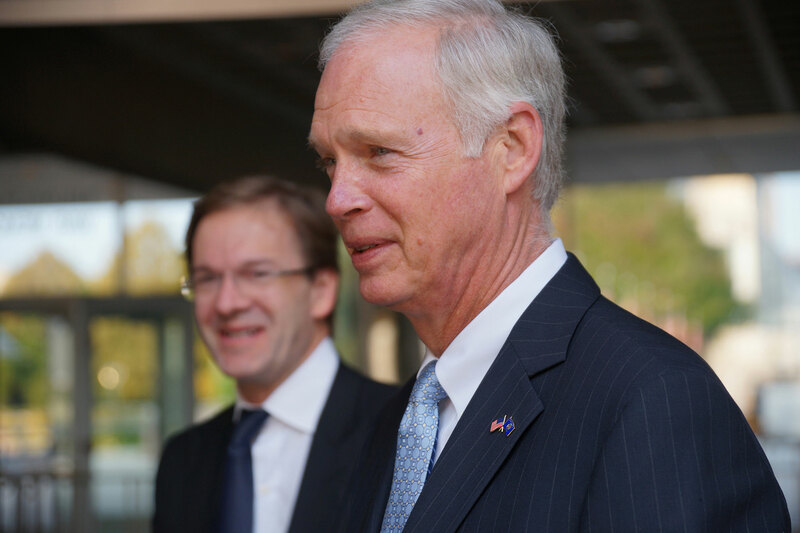 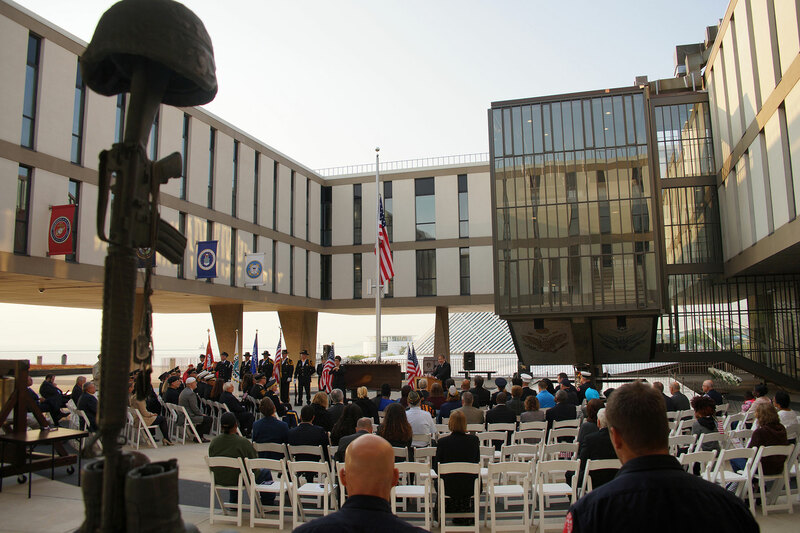 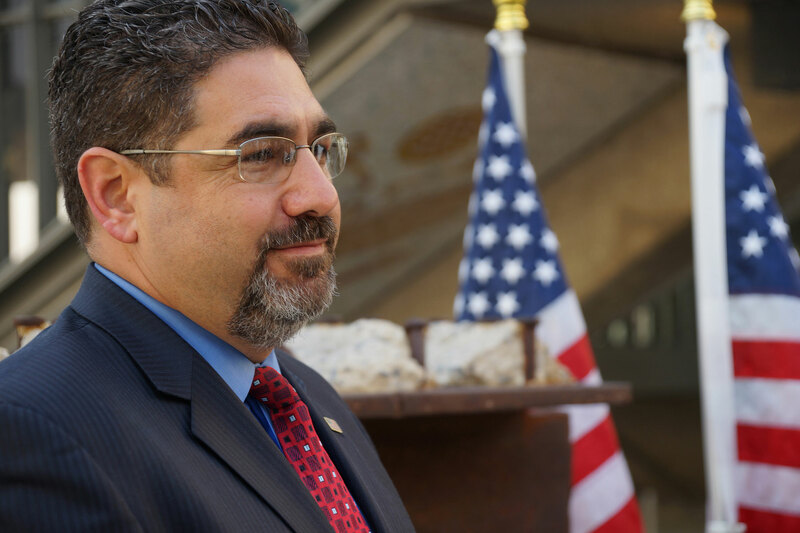 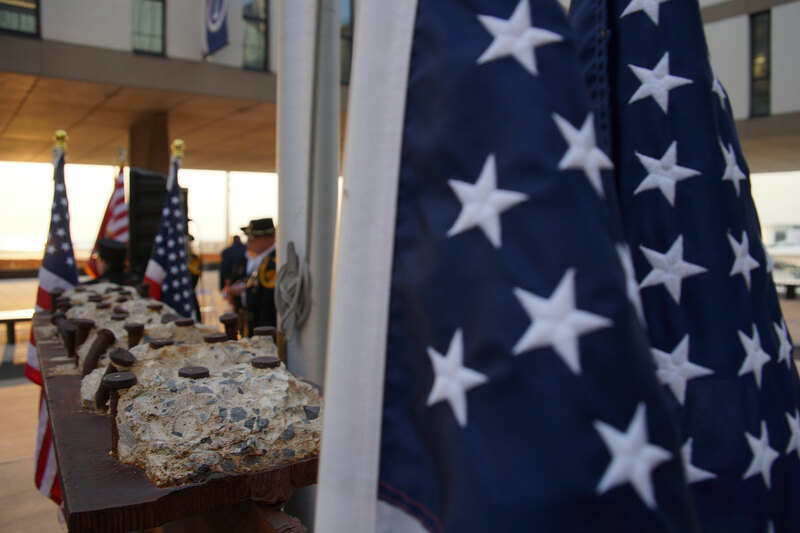 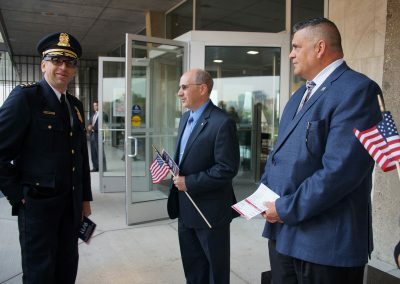 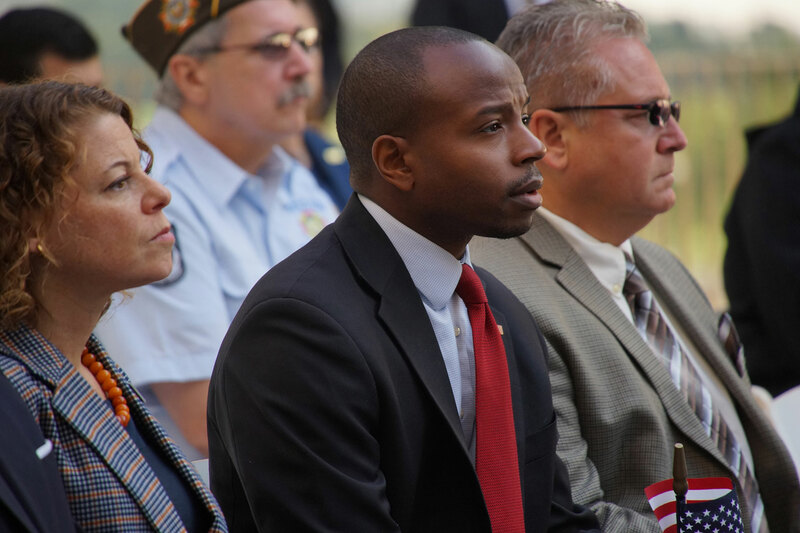 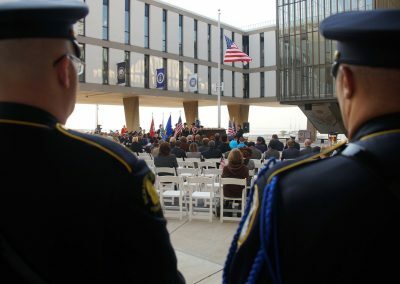 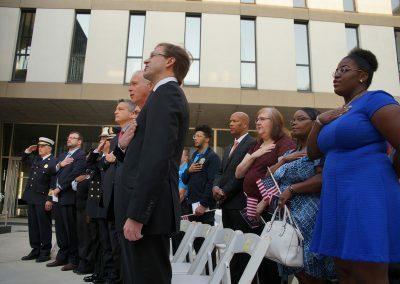 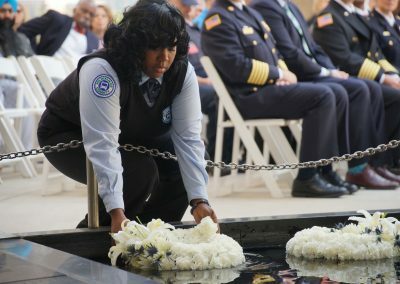 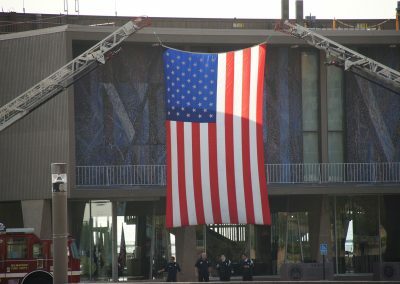 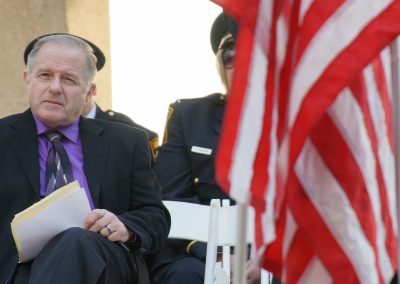 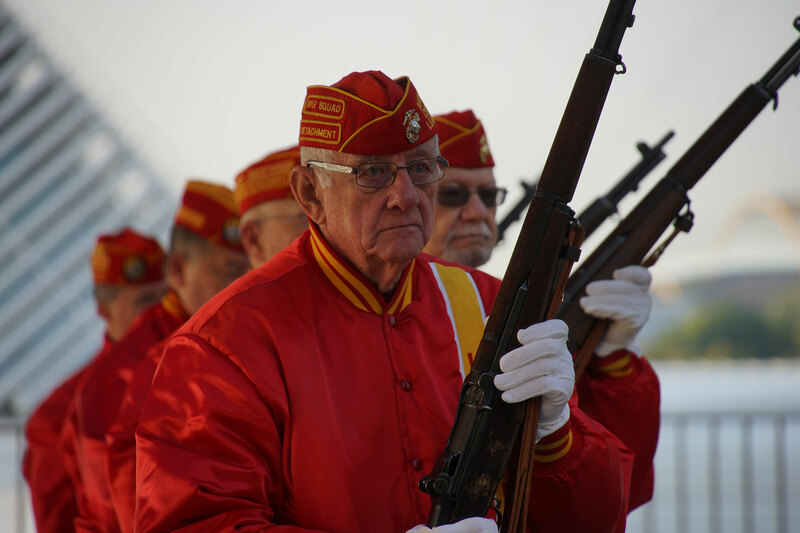 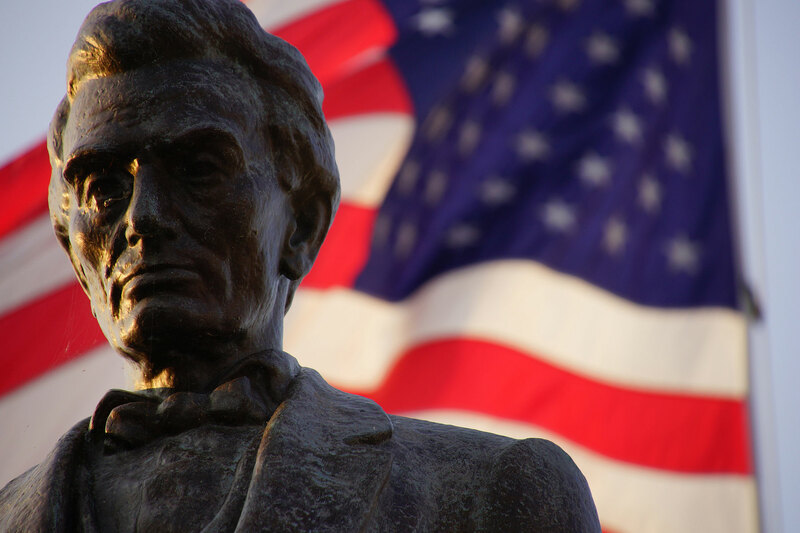 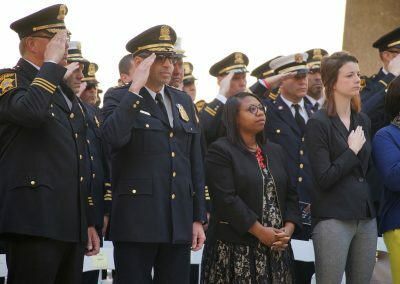 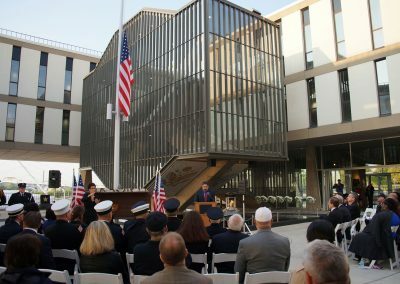 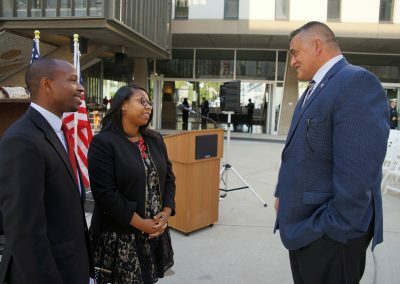 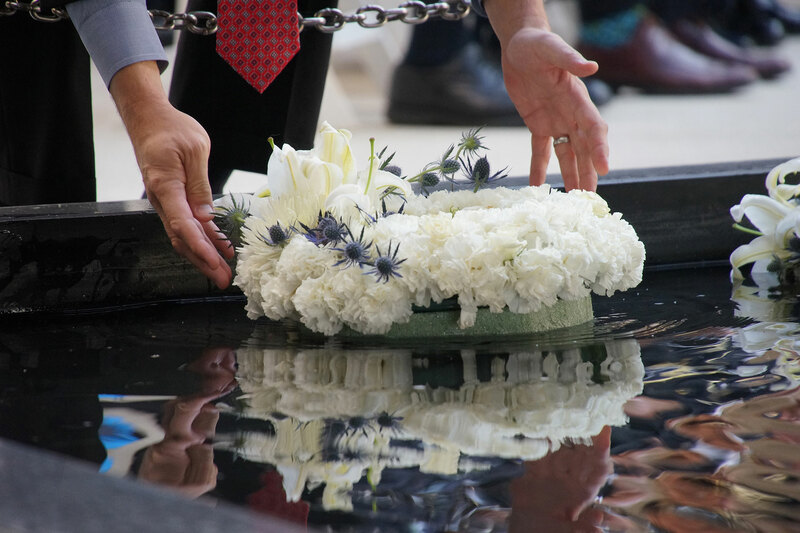 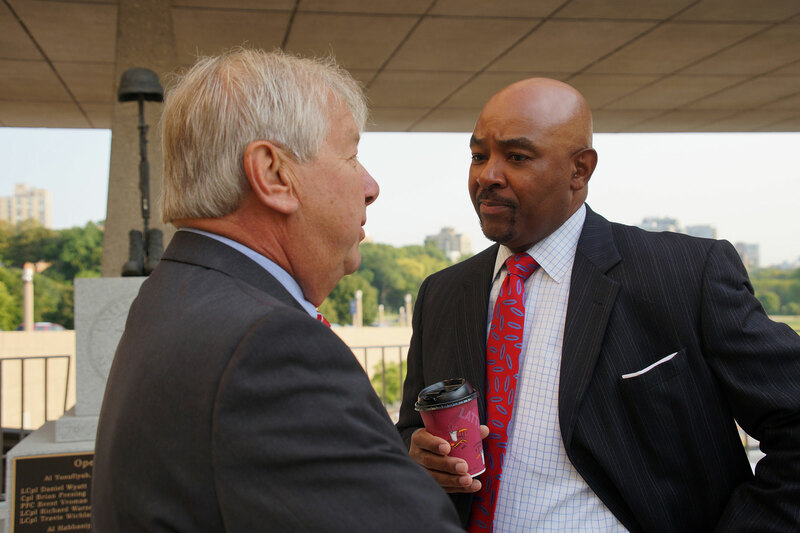 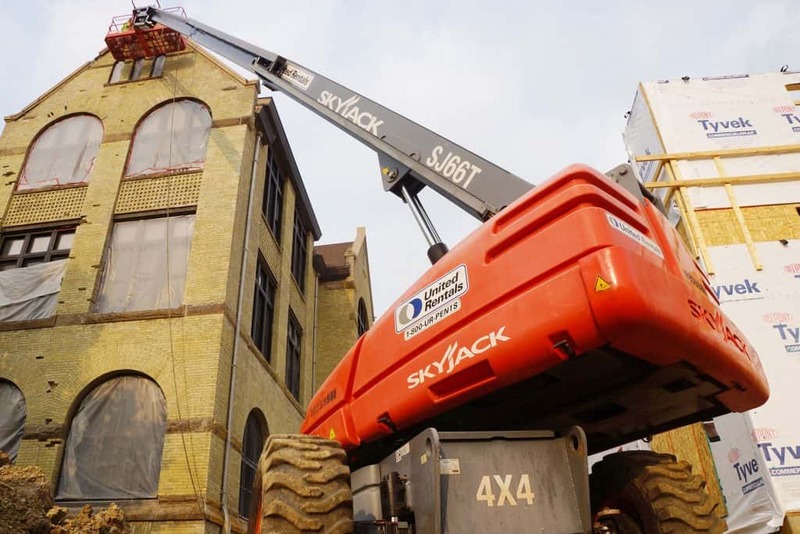 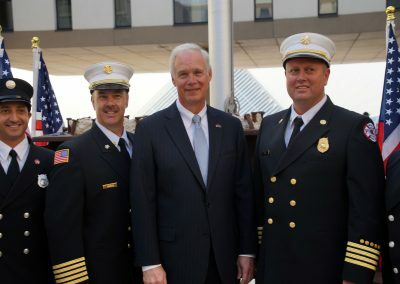 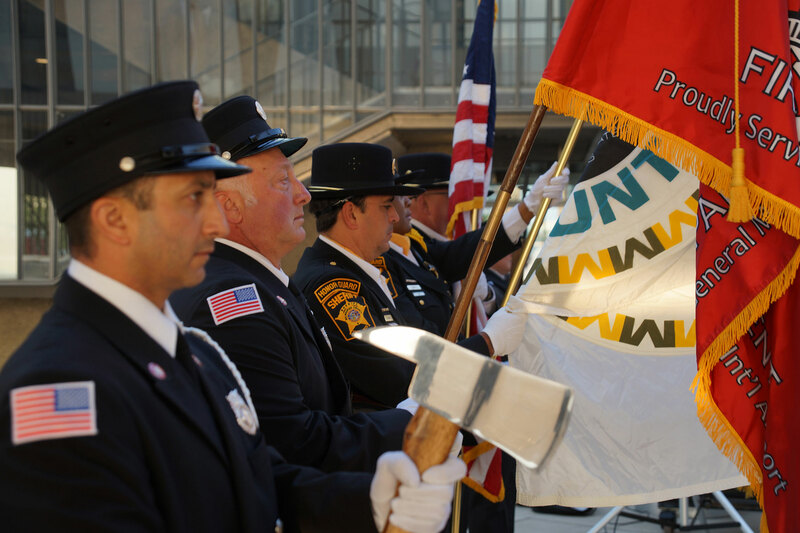 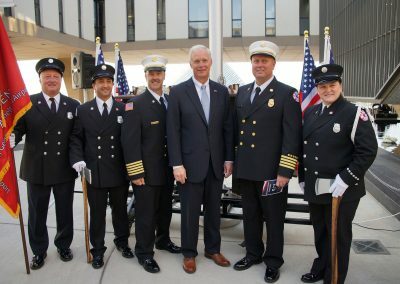 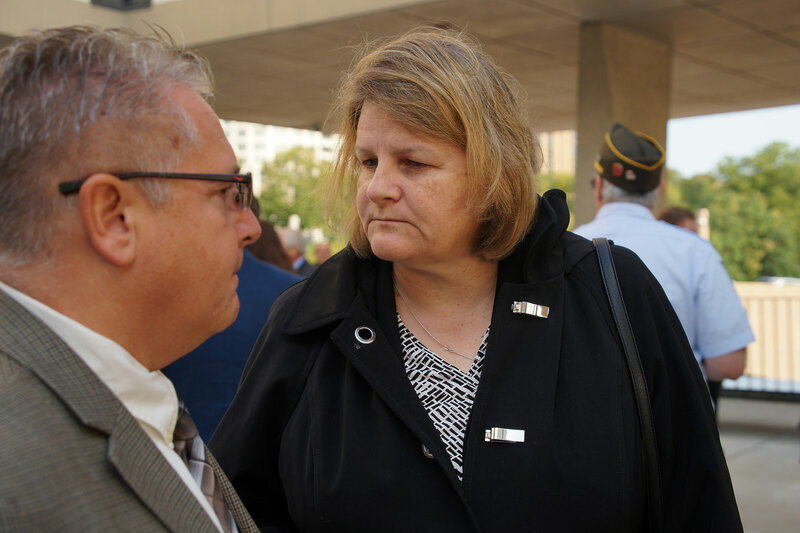 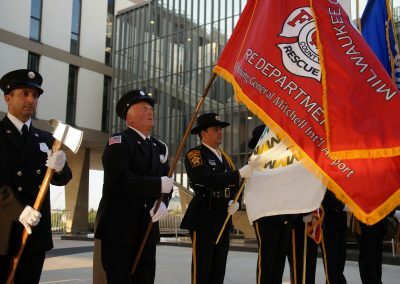 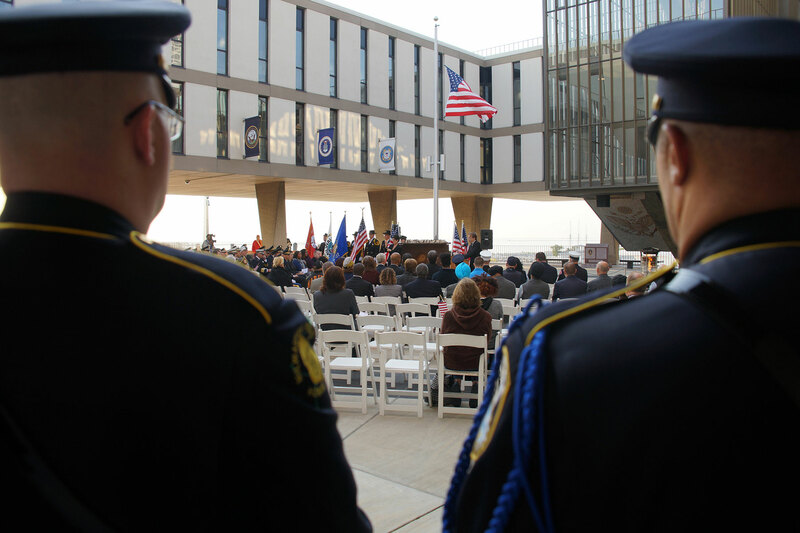 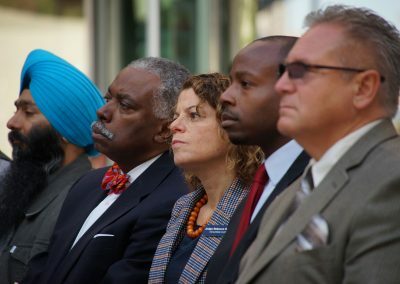 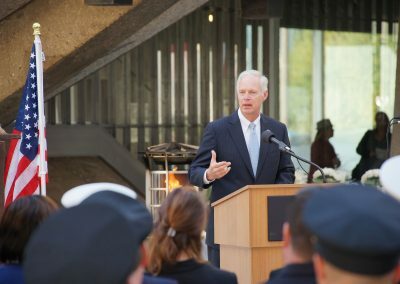 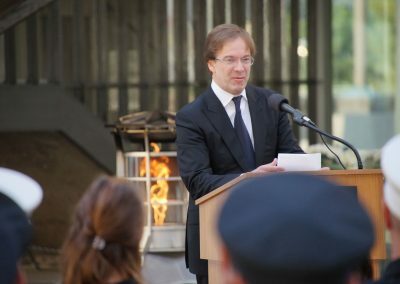 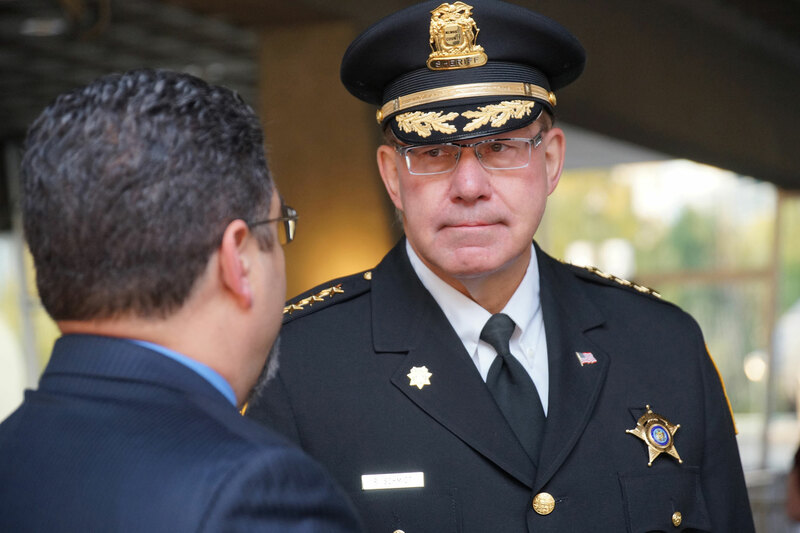 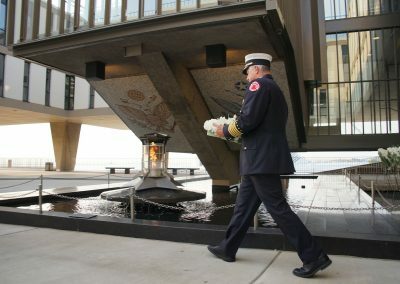 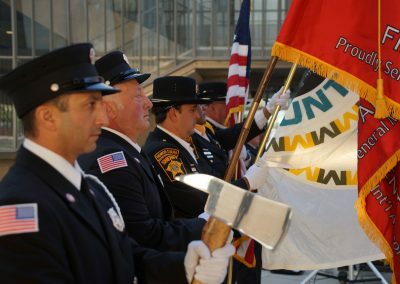 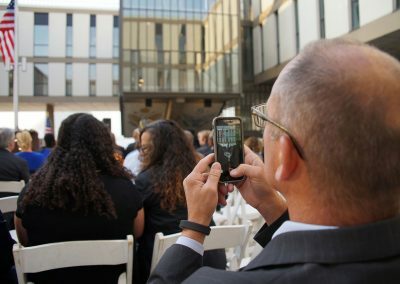 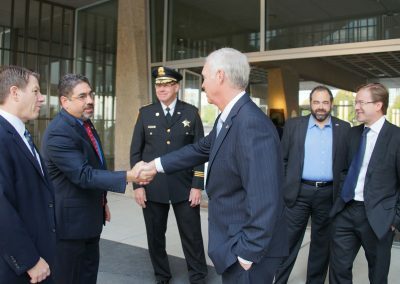 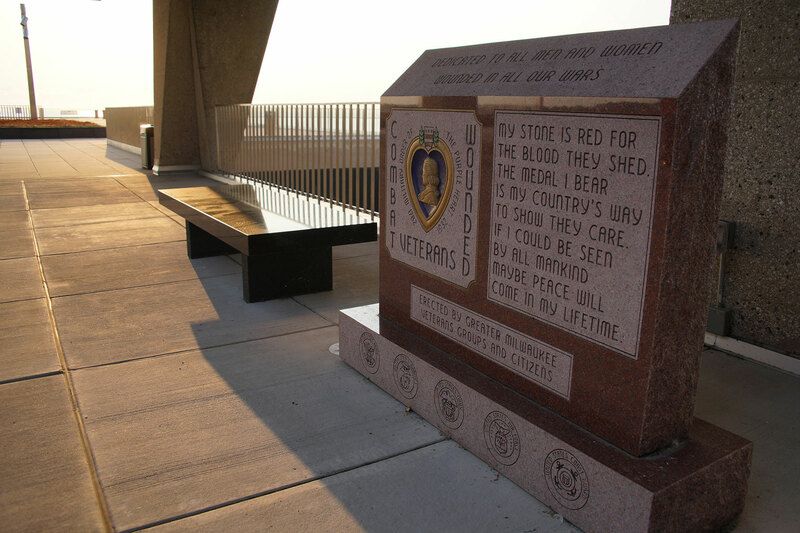 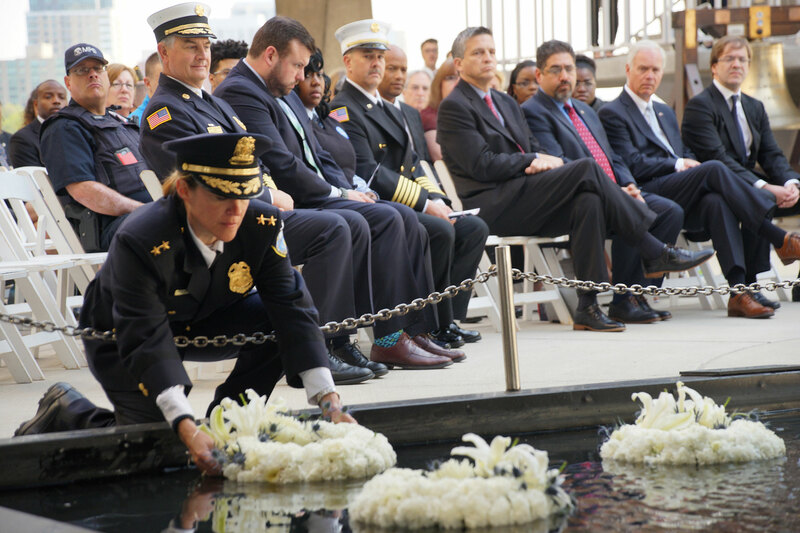 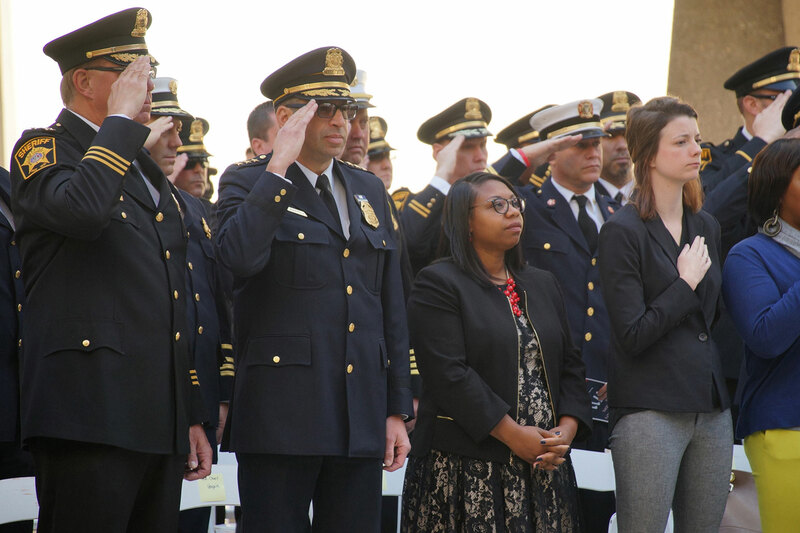 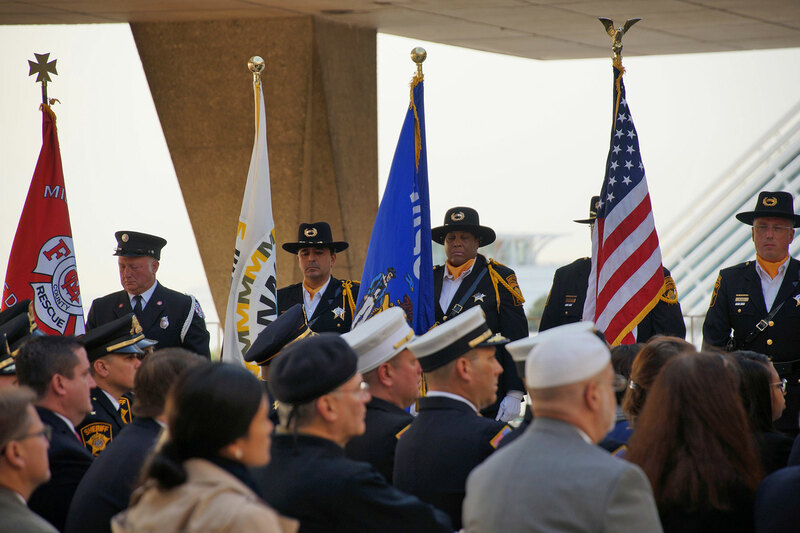 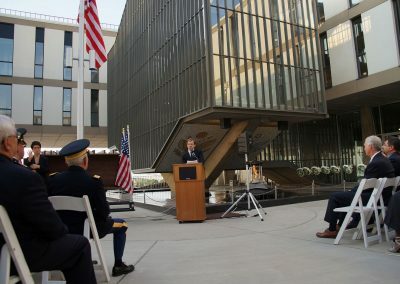 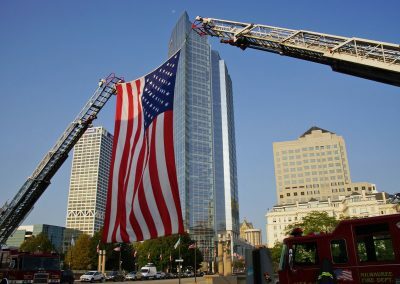 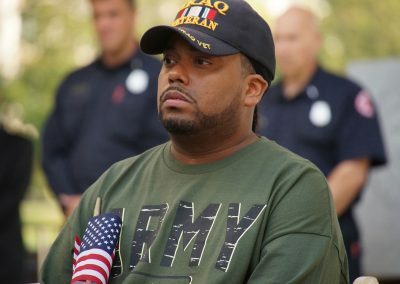 Local and state leaders, military officials and veterans, police and fire department members, and the Milwaukee community honored the victims of the September 11th, 2001 terrorist attacks at the Milwaukee War Memorial Center. 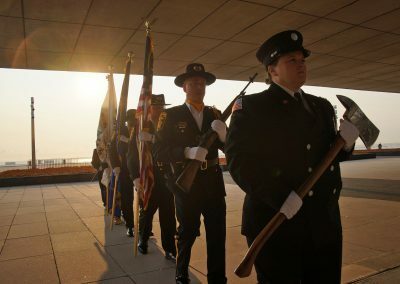 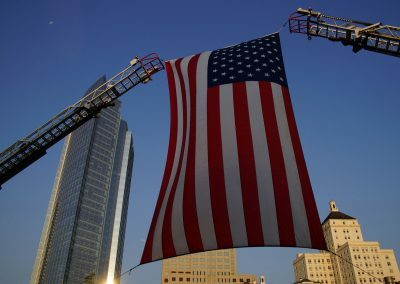 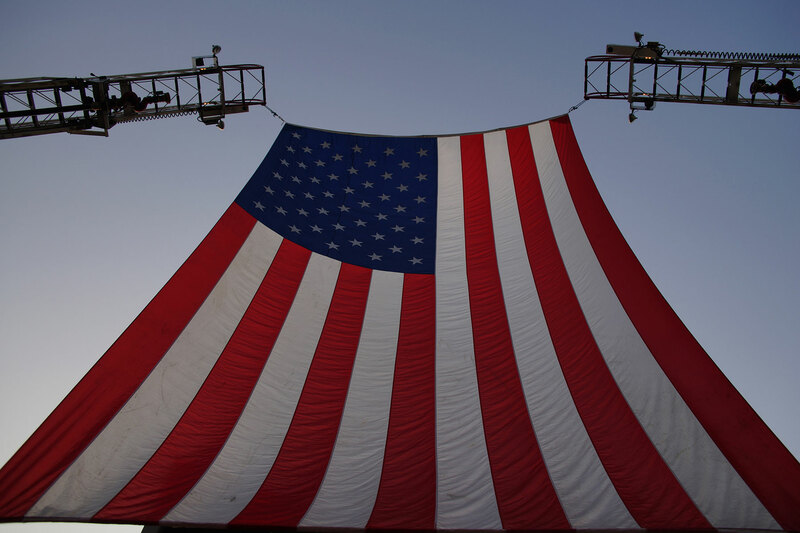 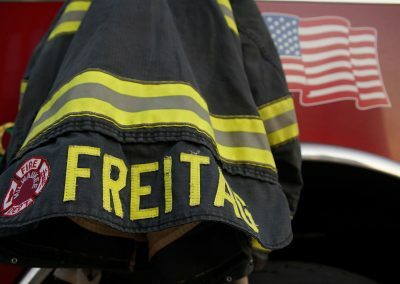 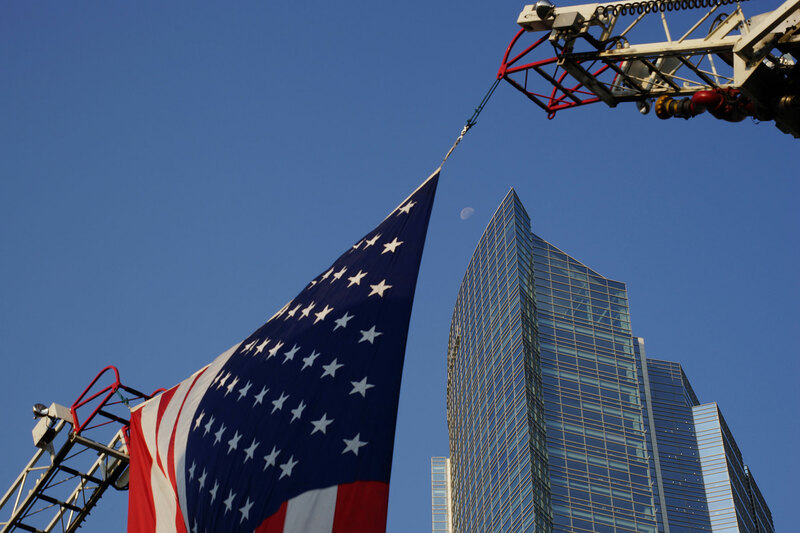 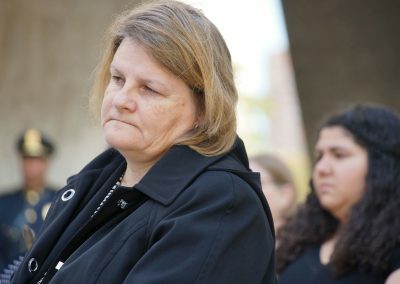 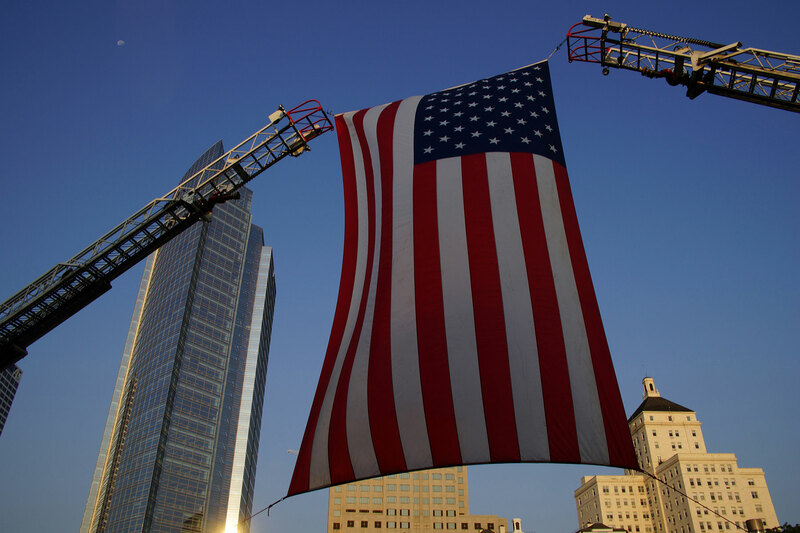 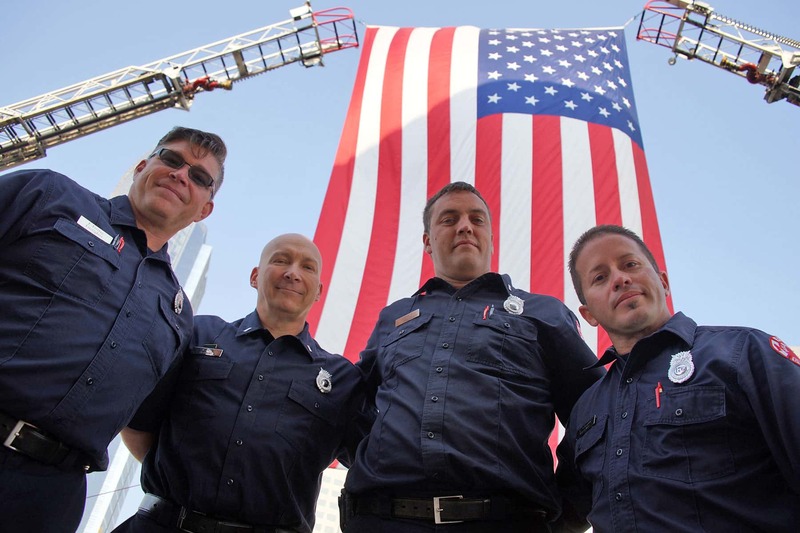 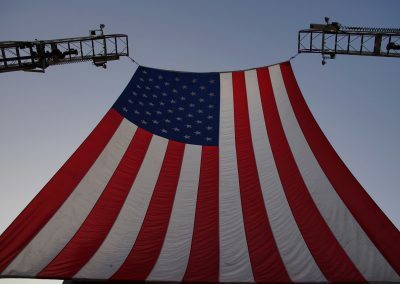 During the September 11 attacks, 2,996 people were kiIIed, including 343 firefighters and 71 law enforcement officers at the World Trade Center.